If you cannot make this assignment please arrange for a replacement and let the Sunriser editor know. 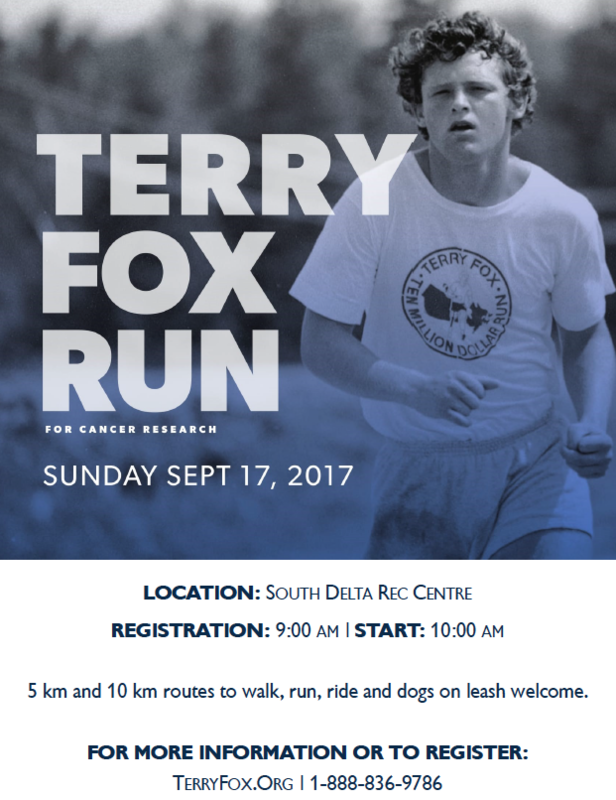 Join us for this year's Terry Fox Run in beautiful South Delta! Suitable for Bikes, wheelchairs/strollers and rollerblades. Dogs welcome on leash. Our first annual Bathtub Race is coming to Centennial Beach. Prepare yourselves for an entire day and night of fun. Mark your calendars for August 18th. 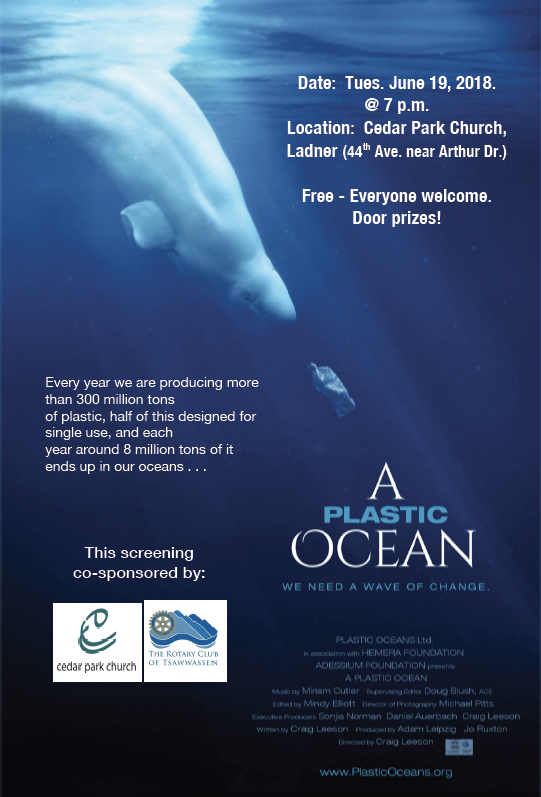 On Tuesday, June the 19th The Rotary Club of Tsawwassen wil be showing A Plastic Ocean at Cedar Park Church in Ladner at 7pm. A PLASTIC OCEAN begins when journalist Craig Leeson, searching for the elusive blue whale, discovers plastic waste in what should be pristine ocean. In this adventure documentary, Craig teams up with free diver Tanya Streeter and an international team of scientists and researchers, and they travel to twenty locations around the world over the next four years to explore the fragile state of our oceans, uncover alarming truths about plastic pollution, and reveal working solutions that can be put into immediate effect. For more information contact Kathleen Beaton at kbeaton@telus.net. In association with Delta Assist and other clubs in the South Delta area, The Rotary Club of Tsawwassen delivered over 600 hampers to families and singles in need throughout the Delta area. These hampers contained everything required for the perfect Christmas Dinner. Turkey, stuffing, potatoes, etc., you name it, and it was in there. Our Rotarians met up at Paridon Warehouse to assemble the hampers over the Christmas break, and shortly after delivered them to the families in need. Kathleen Beaton, who led the project said that we do this because "it’s great to be able to give someone a wonderful Christmas dinner with all the trimmings and add to their pantry for the first of the year". The Rotary Club of Tsawwassen donated over $1,000 to the Project, and many volunteer. A huge thank you must also go out to our local schools, Church’s and Kinvillage who also donated food. 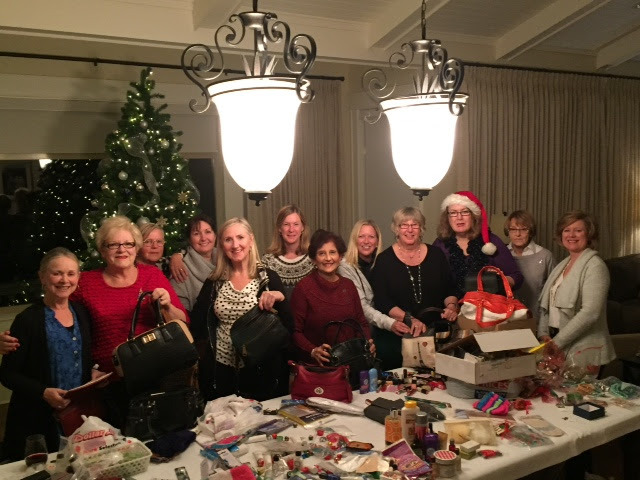 The Rotary Club of Tsawwassen filled 48 Purses for Women in need living in the Delta area. The Purses went to two different locations; The South Delta Soup Kitchen Christmas Dinner, and the new Delta Transition House for Ladies. Thank you to each member of our Club that supported this venture, and making this years Christmas a little brighter for those in need. Click this link to watch our slideshow of the event. Enjoy and share photos from the Rotary Gift of Light! Click the link! 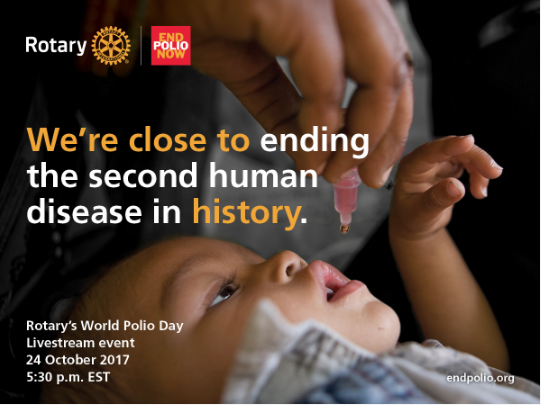 Our Club is celebrating World Polio Day on Thursday, October 26th. Our speakers are Polio survivor Ralph Roberts and Edwin Lee, Pharmacist, on immunization. Last year our club raised close to $12,000 US in the fight against Polio, and if you would like to join us on the 26th, please let us know as we'd love to have you. If you would like to know more about Polio, and what Rotary is currently doing to make a difference, please click the picture below. The Rotary Club of Tsawwassen partnered with the South Delta Garden Club at this summer's Garden Tour. For the Rotarians involvement in the event, SGDC members Ursula Schmelcher and Hillary Sanders presented the club with a cheque for $2500. As part of Canada's 150th birthday, Envision Financial Credit Union recognizes community volunteers by providing a donation of $1500 to the selected recipent's charity. For her thousands of hours of volunteered work Envision financial selected Rotarian Leslie Abramson. She was awarded the honour this past Thursday morning. PICTURED LEFT TO RIGHT - Assistant Vice President of Retail Banking Ken D’Sena, Leslie Abramson, Assistant Branch Manager of our Tsawwassen Branch Cyrus Mazdine, Rotary Club of Tsawwassen President Laura Dixon, and Susan Byrom Senior Manager of Community Investment. 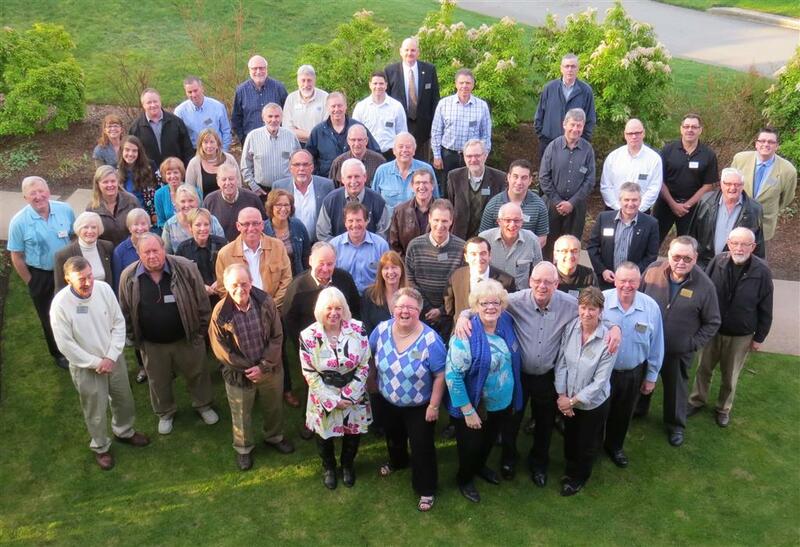 We'd like to congratulate The Rotary Club of Ladner on their 60 years of service within their community. On Monday, September 11th the Rotary Club of Tsawwassen and their partners, the Delta School District, Delta Community Literacy Committee and Delta Parks, Recreation and Culture helped to fill one of the new Libraries at Diefenbaker Park with new books. There are three additional Little Free Library locations at Pebble Hill Park, Grauer Park at South Delta Recreation Centre and Beach Grove Mini Park and all are stocked and ready for use. The support for community literacy also includes the Delta Community Literacy Committee with a significant donation of books to help stock the libraries. Ailsa Howard explains that the Committee “has a mission to enhance the literacy and learning in Delta”. Sunday, September 17th Terry Fox Run Starting at a new location South Delta Recreation Centre, registration begins at 9:00 a.m. and the run starts at 10:00 a.m.
September 21st Commemoration of the International Peace Day starting at 3:30 p.m. at the Tsawwassen Town Centre Library and 4:00 p.m. at the Peace Pole in Rotary Square at Tsawwassen Town Centre Mall. Suitable for Bikes, wheelchairs/strollers and rollerblades. Dogs welcome on leash. Route distance: 5 km, 10 km. Once guest are seated in the viewing area, they can look forward to live musicians on stage with performances by ‘Studio Cloud 30’ (home of Juno Nominee – Warren D. Flandez). The ‘Chang’s Taekwondo Demonstration Team’ will also showcase their talents and skill on the main stage. 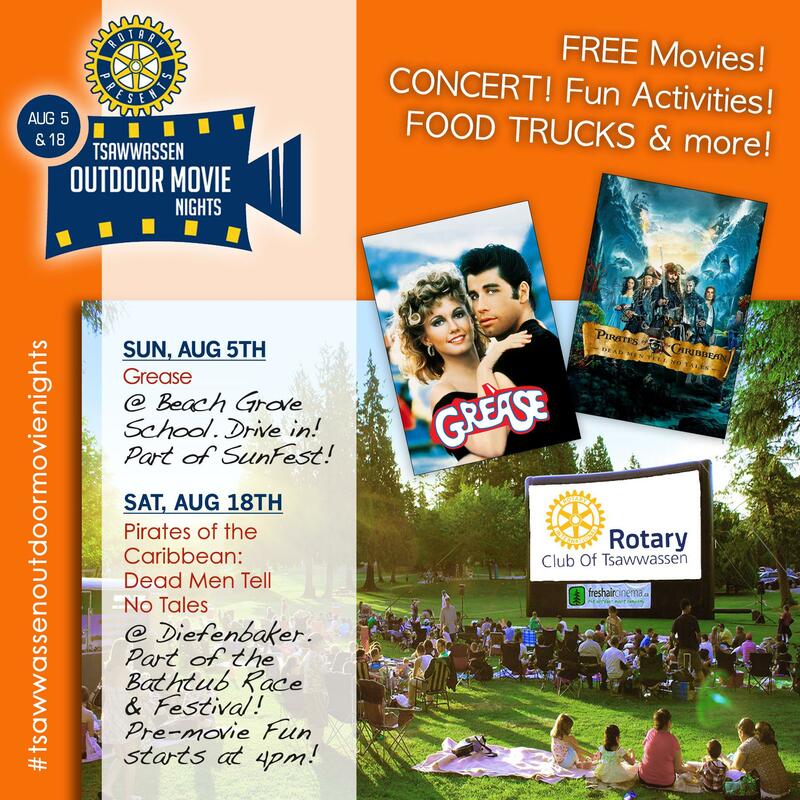 The Rotary Club of Tsawwassen present the 2nd Annual Tsawwassen SunFest Drive-In at Beach Grove Elementary playing field. Reserve your FREE ticket at www.sunfestdrivein.com. Only vehicles with Reservations will be allowed to enter the grounds. START TIME: Gates open at 6:30pm; show starts after sundown 8:15pm Please arrive early to park your car! DRIVE-IN: Parking is on a first-come first-served basis so come early to get a spot. Movie audio for drive-in guests will be broadcast over FM radio. 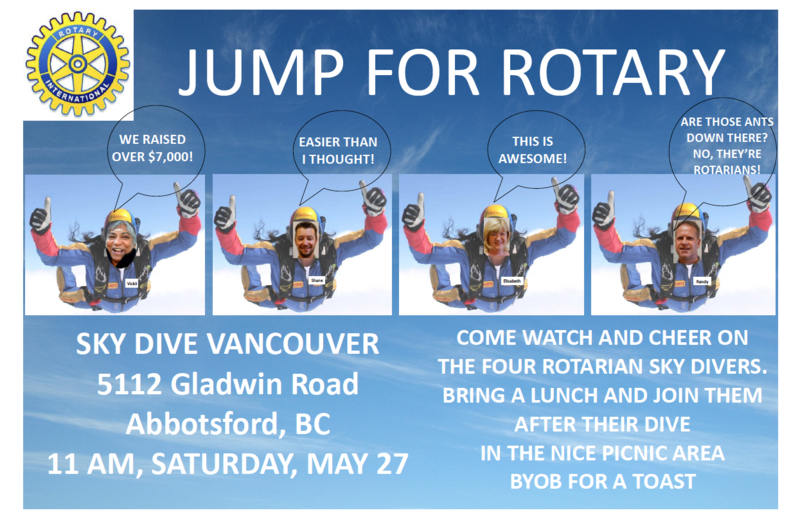 On Saturday, May 27th, four members of the Rotary Club of Tsawwassen raised $7,000 for The Rotary Foundation by jumping out of a plane 12,000 ft above the ground. With matching grants from the Bill and Melinda Gates Foundation, and the Government of Canada the $7,000 raised will turn into a $35,000 donation towards ending Polio. These funds will help immunize close to 350,000 children against this horrific disease. 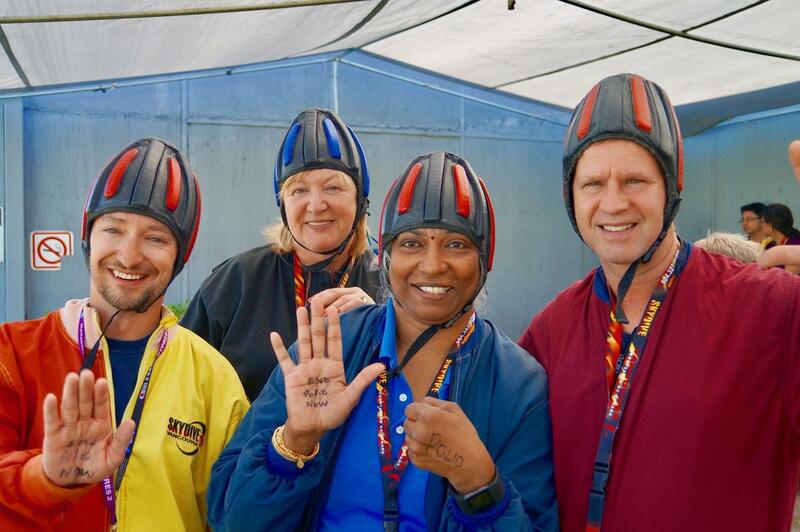 Shane Todhunter, Vickii Paramanathan, Elizabeth Wagner, and Randy Bilesky took the courageous leap with the support of Skydive Vancouver’s staff. “What an exhilarating way to support a cause I care so much about” stated Todhunter after he landed, and said he would have loved to do it again. 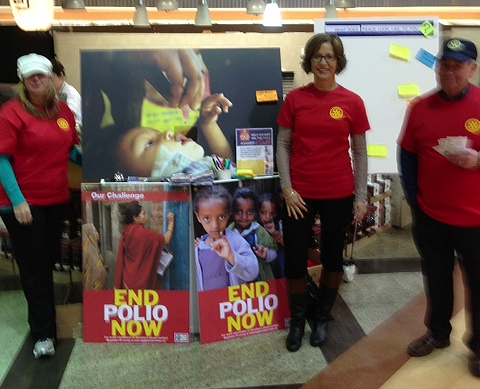 The Rotary Club of Tsawwassen partners with various International Organizations to eradicate Polio. As of June 2014, there are only 3 countries in the world where there are still cases of Polio reported each year. Rotary’s goal is to see polio wiped from the face of the world within the next few years. 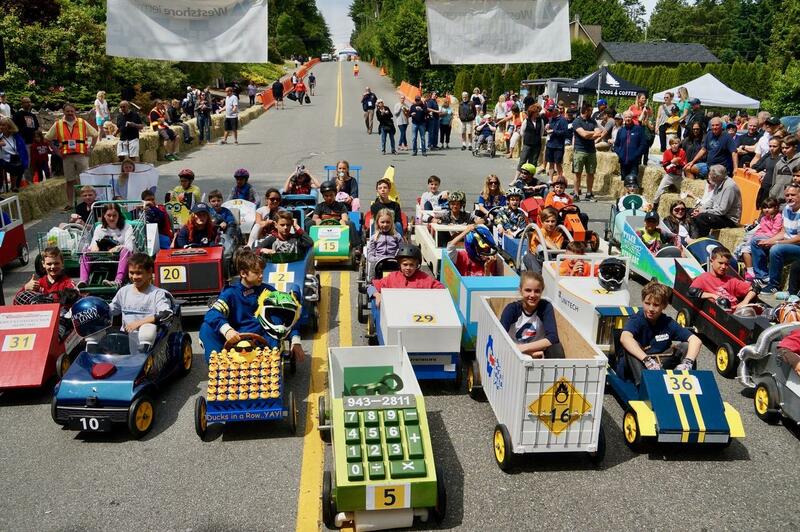 On Saturday, June 10th soap box derby enthusiasts, builders, and drivers congregated along 6th avenue in Tsawwassen to take part in the 2nd annual Soap Box Derby hosted by the Rotary Club of Tsawwassen in partnership with the Corporation of Delta. Over 1500 spectators watched 45 soap box drivers ages nine to twelve zoom down the 600+ foot track to compete against one another to find out who would be crowned this year’s soap box derby grand champion, and be awarded the 1st place Trophy. The trophy was claimed by Vanessa Costa racing for Shpak and Co as she recorded the fastest time of the afternoon. Rory Brown, driver for Swim Blue was awarded second place, and Luka Wiesel driving South West Mortgage clinched third. There were three new awards given out this year for Best Costume, Cart Design and Crowd Favourite. Jackson Yagin "the banana man" won best costume, Rat Rod Roxy cart for Go Green Pest Control won for best cart design, and Teagan Reid, driver for Scott Reid Plumbing won for Crowd Favourite. All riders were presented with a medal for participation, but went home with more than a medallion around their neck. They were also part of a great event that raised over $20,000 for the Rotary Club of Tsawwassen’s Community projects. Race coordinator Rick Lewall said "it was a great day, and I'm already anticipating next years race" The Rotary club of Tsawwassen would like to thank all of the drivers, sponsors, volunteers, and the Corporation of Delta for making this years Derby such a success. 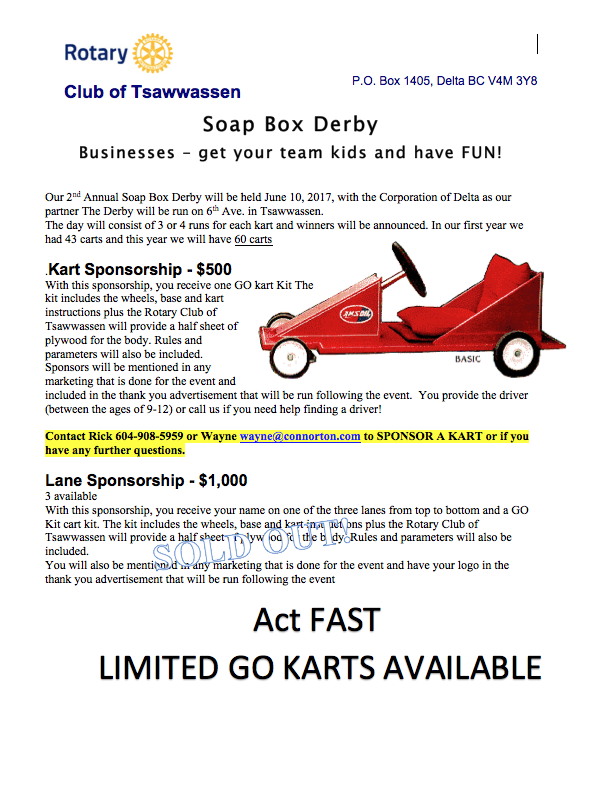 The Rotary Club of Tsawwassen is currently looking for local Businesses wanting to sponsor a Kart in this years Soap Box Derby. Last year over four hundred plus people watched forty-three racers ages nine to thirteen zoom down the 400 foot track to compete against one another and find out who would be crowned the soap box derby champion. First place was claimed by two local speedsters; Noah Boisvert racing for Scott Walker and Associates, and Riley Smithurst representing Hillmar Industries LTD. Teagan Douglas, driver for Randy's Tire Craft took home second place, and Sophia Schallig driving MK Delta Land Group’s cart clinched third. Awards were also given to the top three best designed carts, which were decided by the viewers of the race. First place was won by Scott Reid Plumbing and Heating, second place went to Delta Optimist, and third place was won by Randy’s Tire Craft. Will this be your year? If you're a young family looking for a great community event, look no further. 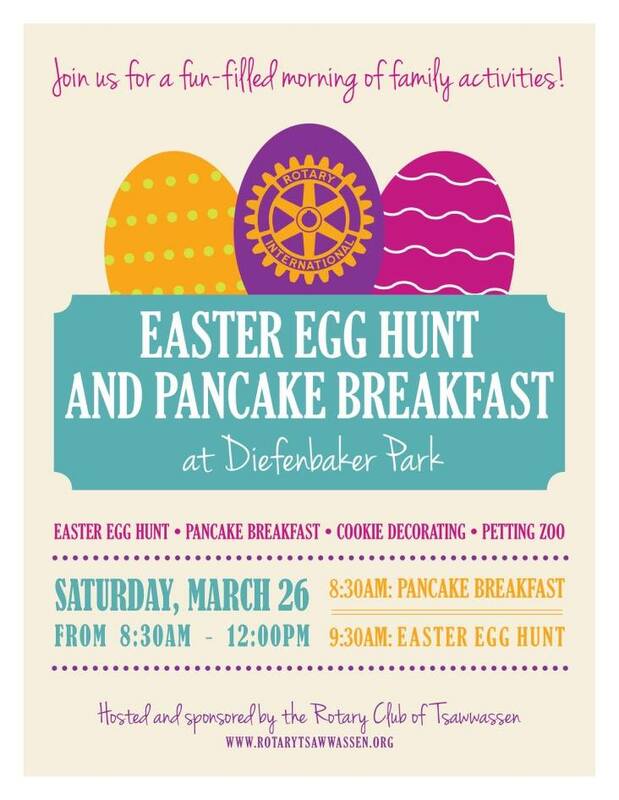 Please join us on Saturday, April the 15th at Diefenbaker Park from 9am to 12pm for our annual Pancake Breakfast and Easter Egg Hunt. Attractions will include Face Painters, Balloon Artists, Bouncy Castle, Petting Zoo, Cookie Decorating, and a visit from the Easter Bunny. The Breakfast will be from 9am to 12pm, and the Easter egg Hunt will start around 11am. 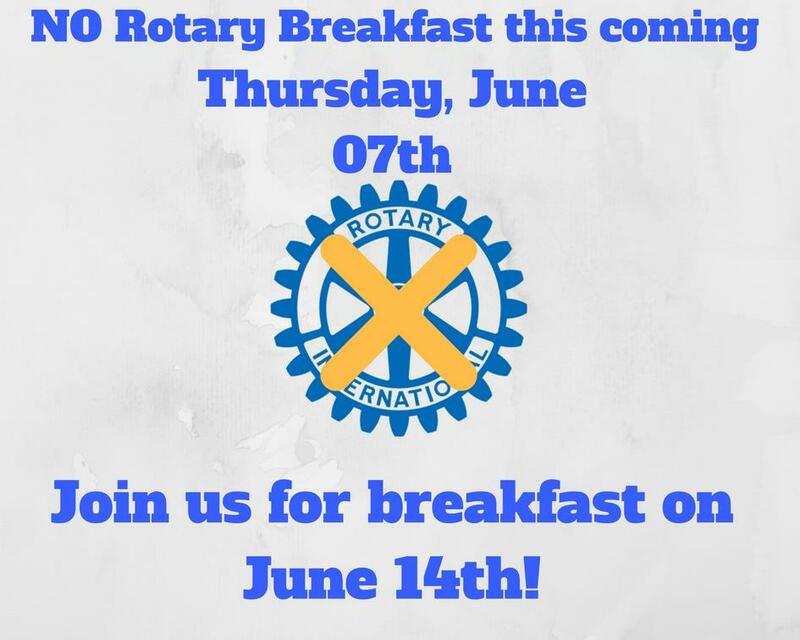 Please contact pr@rotarytsawwassen.org if you have any questions. We look forward to seeing you there. The Rotary Club of Tsawwassen was well represented at the recent Million Dollar Dinner to raise funds for The Rotary Foundation. The goal was to raise $1,000,000 in cash and future donations to work on the 6 key areas of focus that Rotary is known for. There were over 15 club members represented and donations from our club alone exceeded $1,400,000 Two major highlights of the evening included a keynote address from our current RI President who left the audience inspired to continue and appreciated for our existing efforts. The second highlight was the check presentation where $3,313,163 in cash and commitments from members in both Districts 5040 and 5050 were presented RI President John Germ. What a success! This years Gift of Light celebration was a perfect way to celebrate the Holidays. Their was a wonderful turnout from our community who came out to listen to the Delta Community Choir, decorate ginger bread cookies, roast marsh mellows by the fire, take a ride in the Carriage pulled by 2 beautiful Perch Ron horses, enjoy Hot Chocolate, Popcorn, Face Painting, and let Santa know what they would like for Christmas. For more pictures of the event, please follow the link to our Facebook page. RESIDENTS OF TSAWWASSEN WE NEED YOUR HELP. 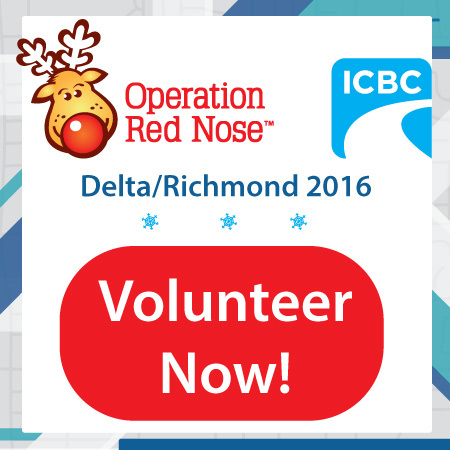 Every year our Club teams up with Operation Red Nose to keep our streets safe during the holiday season, but we still need more volunteers. If you have an evening free, and are willing to dedicate your time, please click here to find out more information on how to register. The Rotary Club of Tsawwassen invites you to join us as we celebrate peace in our families, our workplace, our schools and our community. 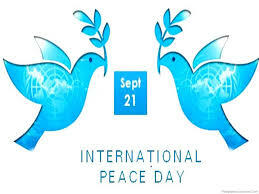 Each year the International Day of Peace is observed around the world on 21 September. The United Nations has declared this as a day devoted to strengthening the ideals of peace, both within and among all nations and peoples. We have every right to be proud of Delta as a peaceful community and we believe this is worth celebrating. Rotary and Community leaders are planning to celebrate living in this, our Peaceful Community. On Wednesday, September 21st. 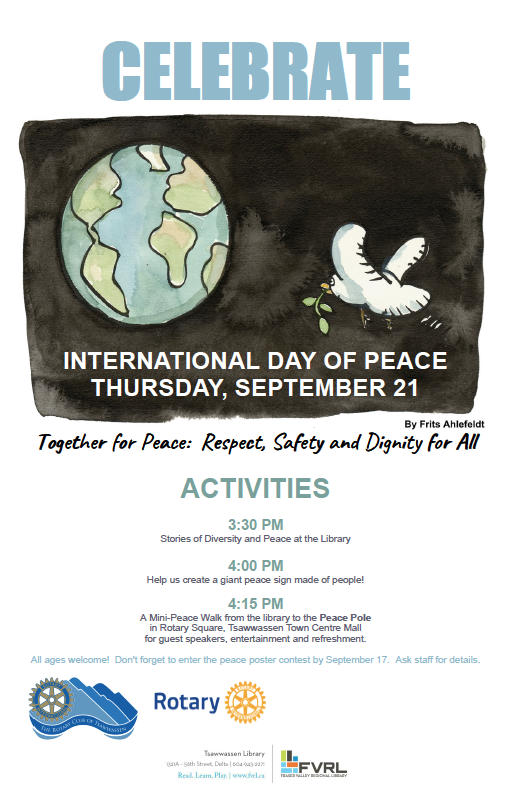 at 4.30 p.m. at the Peace Pole in Rotary Square at the Tsawwassen Town Centre Mall, members of the Rotary Club of Tsawwassen, Tsawwassen First Nations and the Delta Community will come together for a short time to celebrate peace as we know it and share our hopes for a peaceful world. Please let us know by September 10th, if you can join us for this Rotary Community Peace Day celebration. There will be light refreshments and an opportunity to meet together to share ways we can make the world a better place. This is the perfect afternoon and evening event for families their kids. 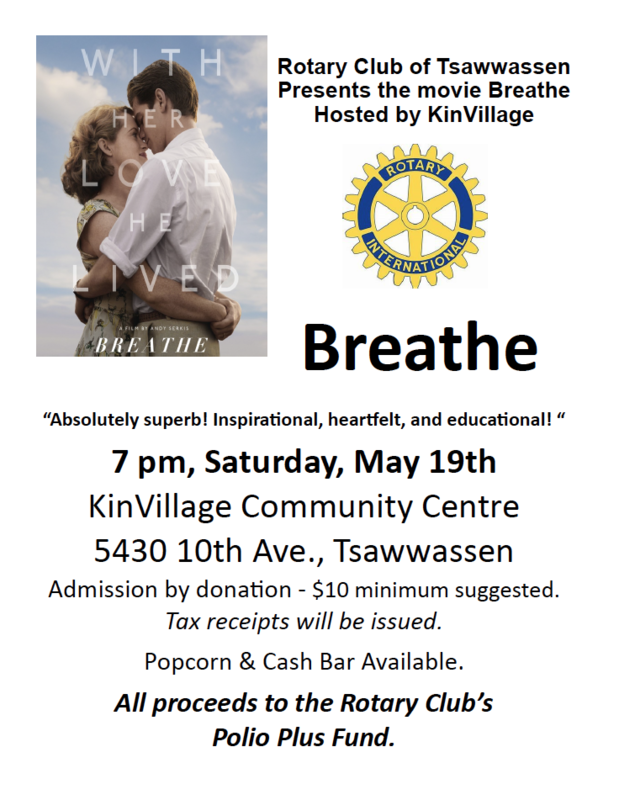 If you have any questions in regard to the event, please do not hesitate to contact pr@rotarytsawwassen.org. 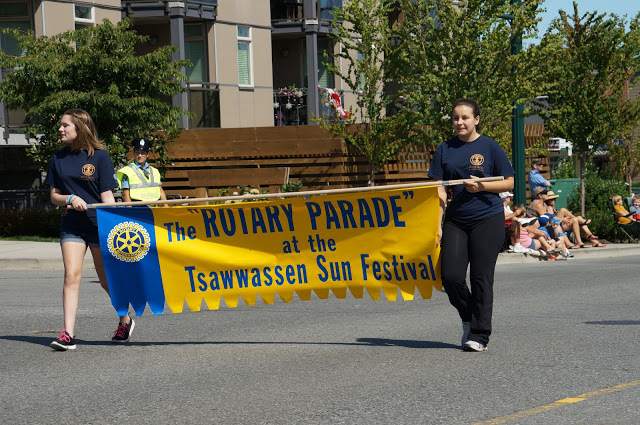 The Rotary Club of Tsawwassen is once again sponsoring the annual Rotary Parade at the Tsawwassen Sun Festival on Monday August 1, 2016. The Rotary Parade typically attracts over 12,000 excited spectators from across the Lower Mainland and Point Roberts. 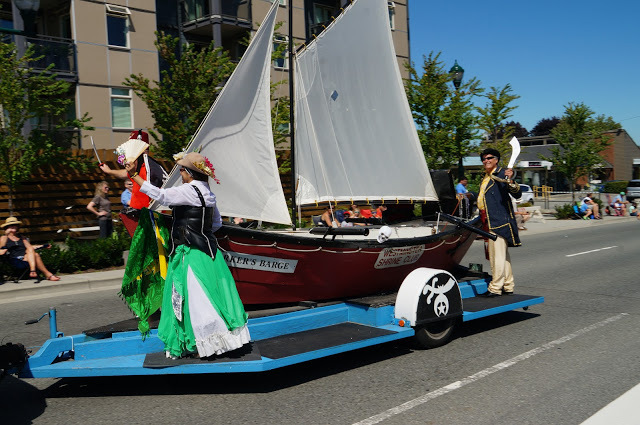 The theme for the 2016 Rotary Parade and the Tsawwassen Sun Festival is all about the "CLOWNS". 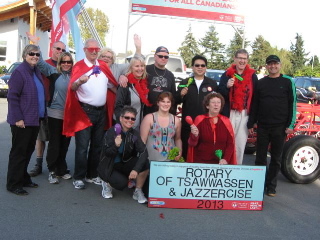 The Rotary Parade is a fun family parade that starts at the corner of 16th Ave and 56th Street in Tsawwassen at 11:00 am. The Rotary Parade runs south along 56Th Street to Winskill Park. The viewing of the parade is on the west side of 56th Street only as the east side is open to local traffic. 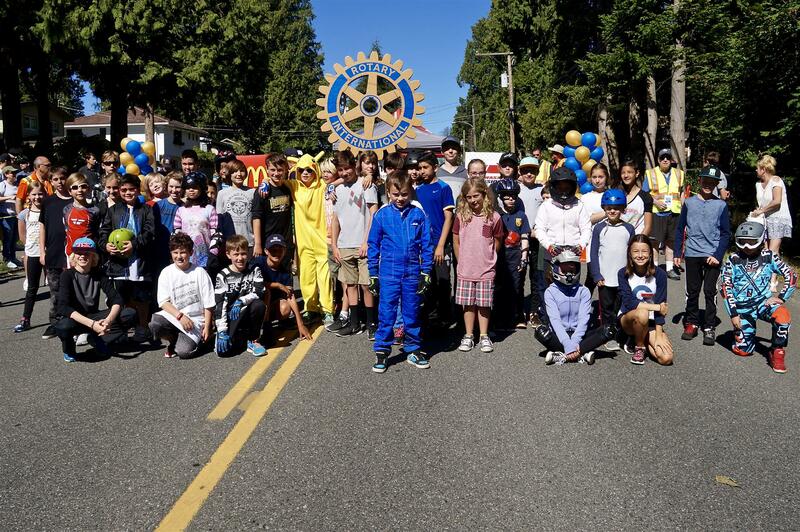 This past Saturday, soap box derby enthusiasts, builders, and drivers congregated along 6th avenue in Tsawwassen to take part part in the Inaugural Soap Box Derby hosted by the Rotary Club of Tsawwassen in partnership with the Corporation of Delta. Over five hundred people watched forty-three racers ages nine to twelve zoom down the 600+ foot track to compete against one another and find out who would be crowned this year’s soap box derby champion. First place was claimed by two local speedsters; Noah Boisvert racing for Scott Walker and Associates and Riley Smithurst representing Hillmar Industries Ltd. Teagan Douglas, driver for Randy's Tire Craft took home second place, and Sophia Schallig driving MK Delta Land Group’s cart clinched third. All riders were presented with a medal for participation, but went home with more than a medallion around their neck. They were also part of a great event that raised over $15,000 for the Rotary Club of Tsawwassen’s Community projects. Currently Rotary is teaming up with Delta Parks and Rec to build a water fountain and stair counter at Fred Gingell Park onEnglish Bluff Road. Trophies were also given to the top three best-designed carts, which were decided by the spectators. First place was won by Scott Reid Plumbing and Heating, second place went to the Delta Optimist, and third place was won by Randy’s Tire Craft. Race Director, Rob Watts was “very pleased with turn out, and amazed how many local businesses and Tsawwassen patrons supported the event”. He also mentioned “next year we want to add more drivers, and make sure we’re able to provide a more exciting, and safe event for everyone involved.” A huge thanks must go out to all sponsors, volunteers, and Corporation of Delta. I am sure I speak for everyone when I say we cannot wait to see what’s in store for next year. Last week I sat down with Soap Box Derby Chair Wayne Connorton to ask him about the upcoming Inaugural Soap Box Derby, what they had planned and to tell me more about the event. 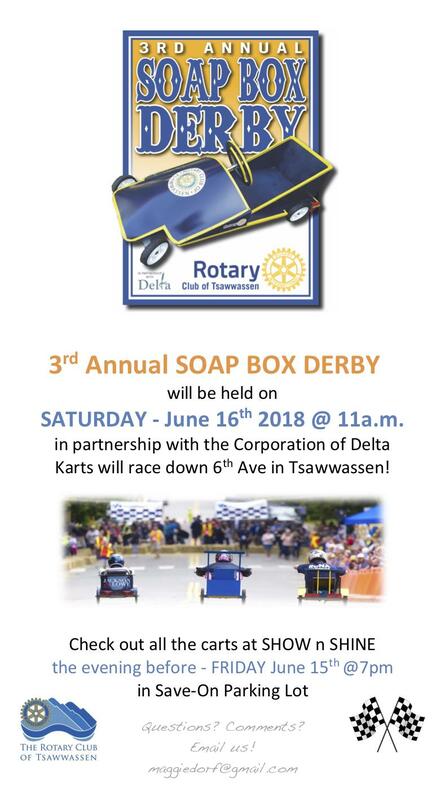 Dan: Hi Wayne, first thing question I have for you is why did you and your team decide to host a Soap Box Derby here in Tsawwassen? 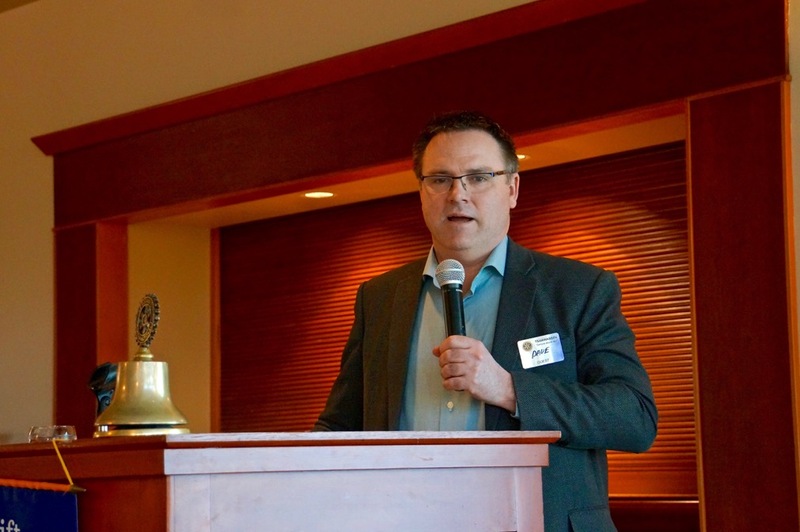 Wayne: Our Rotary Club is always looking for opportunities to give back to Tsawwassen. A small group in the club were trying to think up new or at least interesting/exciting ideas that have not been done here for a long time. Eureka! – Why not a soapbox derby?! Presented by Rotary and Delta. Sponsored by local companies and raced by young kids. We presented the idea to Delta, and they were ready to back us 100%. Dan: What’s your Clubs experience hosting such an event? Wayne: Our Rotary Club has not been involved in the past, but a couple of local people are helping us who have played an important role when this event was on 4th Ave in Vancouver. Additionally, we contacted a couple of other Rotary Clubs in distant locations to get their advice. We’re confident this event will be one of the best yet. Dan: Why do you think an event like this will be successful here in Tsawwassen? 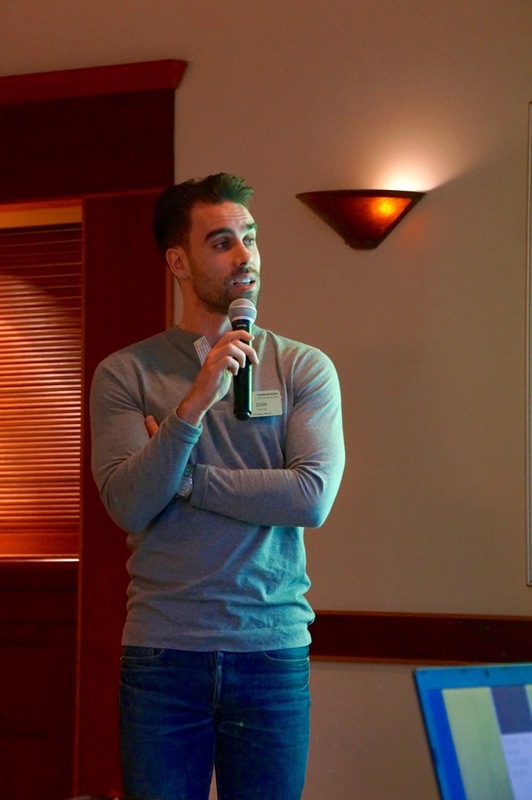 Wayne: We know it will be a great success because of the local support we’re receiving. It’s been overwhelming to see how many sponsors and drivers can’t wait to get involved. Also, when we went out to advise those living on 6th Ave, their response was all positive and seemed to be looking forward to it. Dan: Who are your ideal racers? Wayne: This race is for the kids of Delta. They get to build something, and race it legally. We can cheer for our children, our grandchildren, and our neighbours ‘children. The ideal participant will be boys and girls aged 9 to 12 years old wanting to build a cart, race it, and have a sponsor willing to help purchase and build it with them. Dan: What should people expect to see when they come out to the Derby? Wayne: Look out for 6th Ave in Tsawwassen being used for our kids to compete. Lots of coloured carts fashioned by kids, Kelly Latrimoille of 104.3 FM announcing competitors and winners, Delta Police, Delta Fire and the Corporation of Delta going head to head. Families will compete against families and companies against companies. It’s going to be a great day! Dan: How many racers are taking part, and how many spectators are you and your team expecting? Wayne: This is the inaugural event, and we will have close to 40 carts racing. The number of spectators at this point would only be a guess, but we’re expecting close to 500. Dan: If you could describe this event in one word, what would it be? Wayne: Not one word, but “A Fun Kick in the Pants” for everyone. Dan: How will the winner of the Inaugural Soap Box Derby be determined? Wayne: The winner will be determined by runoffs of carts three at a time with each cart getting at least three runs. There will be finals at the end in the case of Ties. Also imagination of the drivers/builders and Sponsors will have the opportunity to be chosen as a “Crowd Favourite” through decorating or modifying the upper appearance of the carts. Wayne: Please join us June 4th on 6th Ave in Tsawwassen for Race Day. The first race will be at 10 AM sharp. Please walk or bicycle to the event will help lessen congestion. Dan: Thanks Wayne, I can’t wait to see what you and your team have in store for Saturday, June 4th. the festivities included a petting zoo, cookie decorating, bouncy castle and other activities. Introduces the 2016 Environmental Month! Now preparing for the upcoming Earth Month Challenge to encourage learning about the environment. Everyone is encouraged to participate for fun and to feed their competitive urges. More info to come later. John Charbonneau recognizes Paul Harris recipients. What are the effects of giving to the Foundation? Marlene Loves Bruce! Arf arf! Marlene Findlay with her well behaved canine guest Bruce, a guide dog in training. Leslie Abramson - acting, vice and former Tsawwassen club president chaired the meeting. President Shane also expressed our appreciation to Leslie for her contribution and also for Marianne Osborne of Delta Printers coming through yet again for us! Who is our 3rd March Mystery Rotarian? the Tom Smith awarded self-defining chapeau! President Shane welcomes our newest Rotarian, Madeline when Sara Kirby brings her daughter to our breakfast meeting. Mette's new mountain ride was acquired in Whistler following a tumble during a weekend with the Beatons and the Jamiesons. An injured calf muscle means crutches and six weeks in an air cast with physiotherapy to follow. Like always, our wonderful Mette is making the best of it with her sunny personality. Kit Grauer and Peter Scurr presented their shared joy of North American train travel. Local train enthusiasts, Kit Grauer and Peter Scurr, were introduced by Laureen McCleery who heard their presentation as part of the local elder college offerings. Both of them have retired from the field of education; Kit from UBC and Peter from teaching art at South Delta Secondary. They managed to combine their love of rail travel with imaginative photos that artistically captured their enjoyment and passion. Garry Shearer announces that members of the Tsawwassen Rotary Club have been granted affiliate membership in the Beach Grove Golf Club! This extends Clubhouse privileges, including access to gourmet dining, to Tsawwassen Rotarians. Please make reservations to use these services. For a reservation call Heather at 604 943-1145. Log in to discover the up-coming specials - the next one being Pasta night Mar 10. Gunter Schreiber Serves As A Cheerful Greeter For Rotarians! After fulfilling his greeter duties, Guenter delivered this week's invocation. 1st Mystery Rotarian for March - Do You Know Who This is? 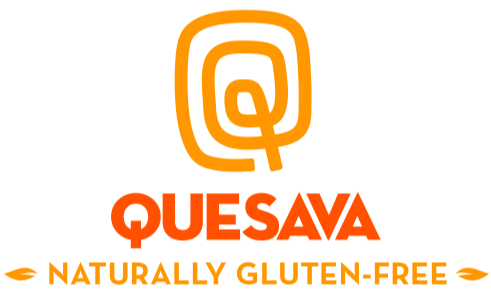 14th Annual Wine Gala - An Evening of Wine - Food Fun! Be sure to order your tickets early! Sales are limited and sell out every year! Soap Box Derby Coming to Tsawwassen! Dave Anderson reports that a committee has been formed and calls for more members to join. 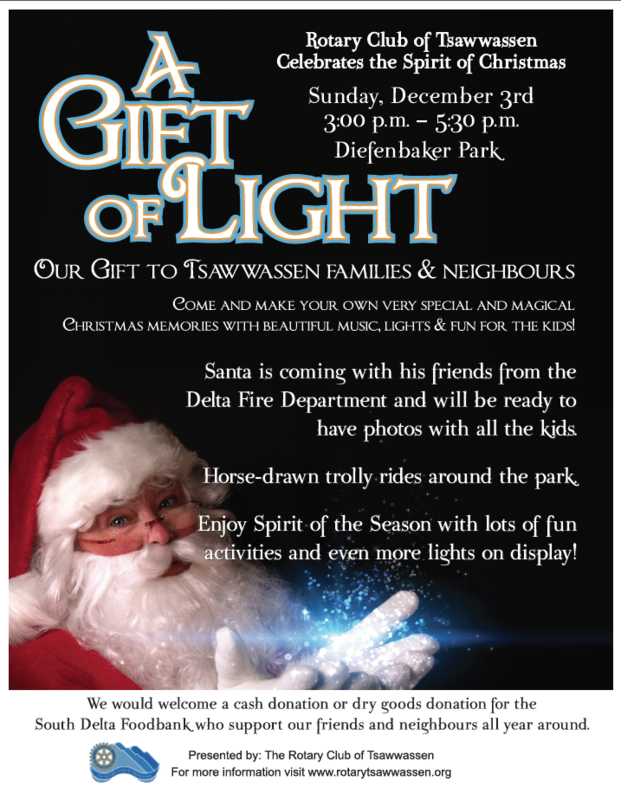 Hands up racers and fans to join in developing the newest fun extravaganza for Tsawwassen! Everything turns up pink at SDSS including our exchange student Mette! More Great news: She has made the soccer team and as well as enjoying the sunshine, she visited Manning Park! International Chairman Edwin Lee Delivers International Update! As well as medical equipment and supplies there is a need for all types of hand tools that will be included in the shipment. Good time to clean out your garage and bring along extra tools you can spare. Collection date is March 17 - Think green and Think tools. Click Read more... below Edwin's slide presentation for details. Dr. Joan Hansen and Sherrie Jamieson hurry along spring! Member Leisa Schaefer serves as Greeter this week and provided the invocation. Garry and Colleen Share Their 40th Anniversary Breakfast With 80 Friends! Member Garry Shearer and his wife Colleen celebrated their 40th anniversary by attending a Rotary breakfast with friends. Photo Bombed by President Shane! Interested in birds in Delta? Check out Delta Nature Casual Birders and Delta Naturalists Society at www.dncb.wordpress.com for more information. See slides from Tom's presentation and text below! Delta birds and biodiversity strategy presented to The Rotary Club of Tsawwassen. Who is our Mystery Rotarian? Mystery Rotarian: Do you know? 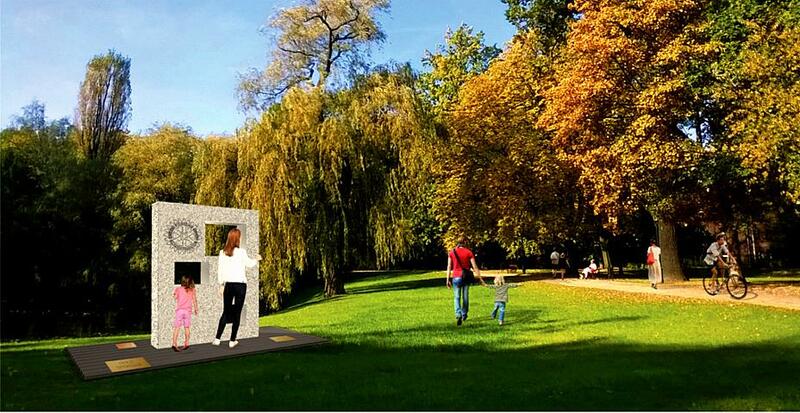 $5,000 Funding For Rotary Fountain in Fred Gingell Park! Garry Shearer presented a $5000 Rotary Foundation contribution for the Rotary Fountain project to Community Projects Committee member Dan Patching. 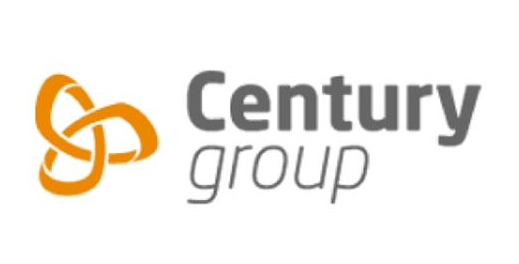 New Member Fernand Beaulac Welcomed! Edwin Lee introduced new member Fernand Beaulac who was inducted by past District Governor John Anderson. Fernand is a chemical engineer who is now a managing consultant who now wants to give time to Rotary. He will be mentored into the club by Wayne Connorton. Welcome aboard Fernand! 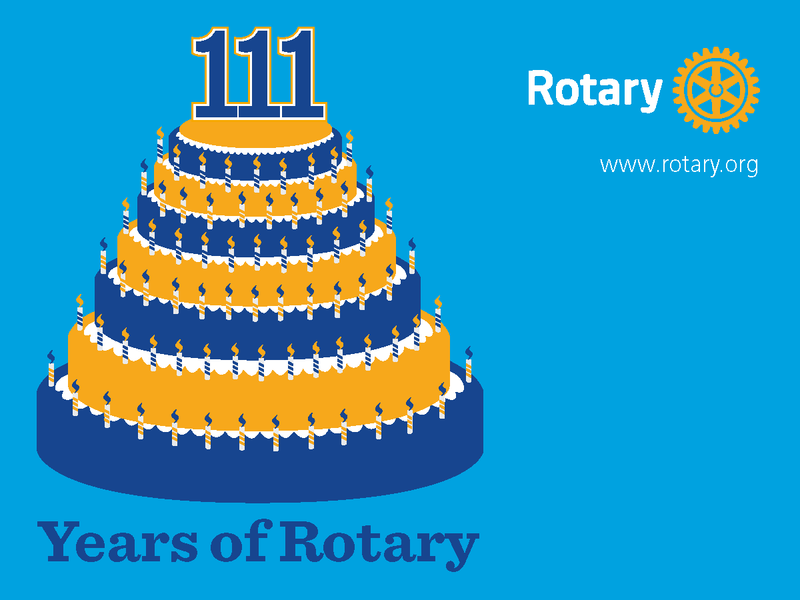 Today We Celebrate Rotary's 111th Anniversary! Interacters Join Us To End Polio Now! Need a bus? John Lusted, Peter Dandyk, Matt Wood with President Shane present a cheque for $1500 towards the purchase of a 16 person community bus. Project Committee members Dan Patching and Ian Bourhill introduced our club's latest undertaking; a unique water fountain slated for Fred Gingell Park. 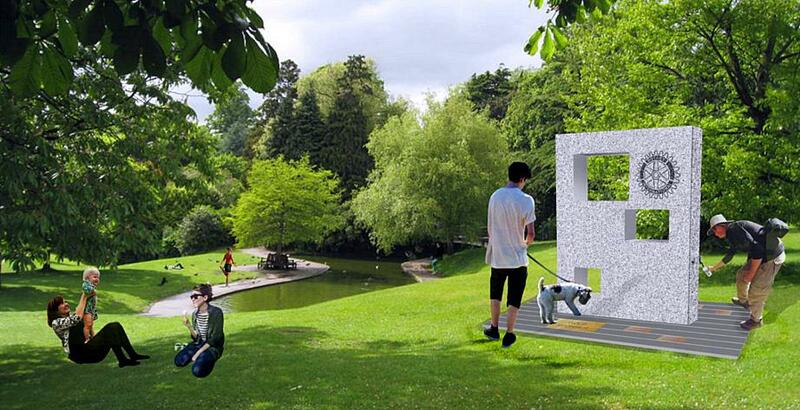 With the assistance of the artist sketch we were presented with some of the design details of the project. Coming Soon! Drinking Fountain for Fred Gingell Park in Tsawwassen! Unique Water Fountain Project Moving Ahead! Dan Patching (left) and Ian Bourhill (above) of the projects committee introduced our club's latest undertaking; a unique water fountain slated for Fred Gingell park. See artist's concept sketches above! Description and photos coming soon! 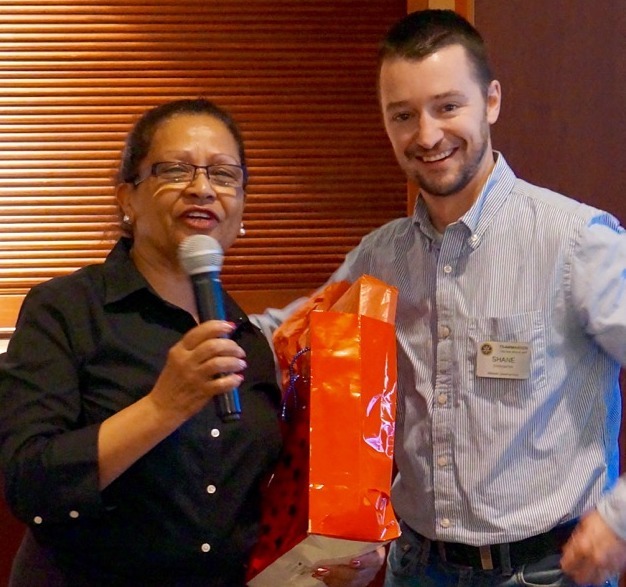 President Shane recognizes our long-time, faithful server Rose by presenting her with an early Valentine's day gift! Mystery Rotarian - Do You Know Who...? SCAM alert! Fraudulent emails target Rotarians! Subject line “BECOME AN END POLIO AMBASSADOR” sent from a fake gmail account. Its a scam! A new email purporting to be from Rotary Foundation Trustee Chair Ray Klinginsmith is targeting Rotary members. The email falsely claims that members can become End Polio Now ambassadors if they email club information to a Gmail address within 48 hours. The fraudulent email has the subject line “BECOME AN END POLIO AMBASSADOR” and is sent from a fake email address of info.endpolio@gmail.com. This is a scam. Avoid being the victim of scams by deleting any email that appears suspicious. Chase Dunsdon Demonstrates the Power of Connections! Chase added some flash to our meeting by supporting his dad becoming our community connected new Rotarian Curtis. Chase cranked up the power to demonstrate the value of making good connections! Combating Gang Violence was our presentation topic. Warren Hughes introduced a great program and presentation by Jordan Pelland. Constable Pelland is a member of the Combined Forces Special Enforcement Unit of BC, the task force dedicated to the policing of the area's gang related activities. His presentation focused on the myths and realities of gang life. Continue reading for details! Neil Dubord, the Delta Chief of police, followed up Jordan Pelland's presentation with commentary on the gang scene in Delta. Chief Dubord reported that Delta Police, the School Board and community support keeps gang activity at a minimum. The key way Delta keeps control of gang activity is through very active school liaison activity targeting high-risk kids. That and a tougher police stand taken in the higher risk North Delta area, tends to keep the gang problem at a minimum in Delta. District Grants Chairperson, Garry Shearer was pleased to present a District Grant of $2,400 for our Tekera project in Uganda. Our club's International Chair, Edwin Lee accepted the welcome contribution that will improve lives by supporting the education of many students. Our Rotary Club has supported this international project for many years and remains deeply committed to this development. January was Vocational Service month for Rotary but, what is Vocational Service? This excerpt taken from the monthly letter from club member and Rotary District 5040 Governor, John I. Anderson explains this part of Rotary. We are urged to highlight vocation in club activities through mentorship and business networking and to emphasize the connections between the Four Way Test and the Rotary Code of Conduct. Promoting integrity through ethical behavior is an essential part of what it means to be a Rotarian. This week, our Rotary Club helped organize over 10,000 books for the annual KinVillage book sale. In addition, Rotarian contributions - along with those of our local Interact Club at South Delta Secondary School - totaled 660lbs of clothing donated to help people in need. Do you share his passion to make a difference? Find out more at www.rotaryactiongroupforpeace.org. 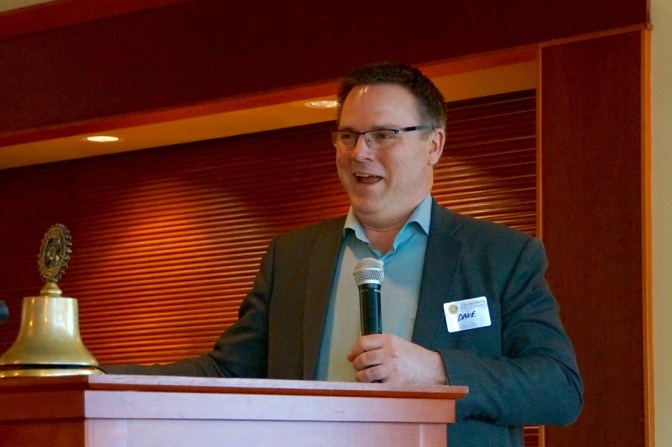 On January 28, the Rotary Club of Tsawwassen was treated to a talk from Robb Lucy, author of Legacies Aren't Just for Dead People!, on the subject of creating a living legacy for you and your family. He asks you to write your legacy letter and tell your connections to the values of integrity, connection, wisdom, creativity and joy. For his Optimist profile, click here. 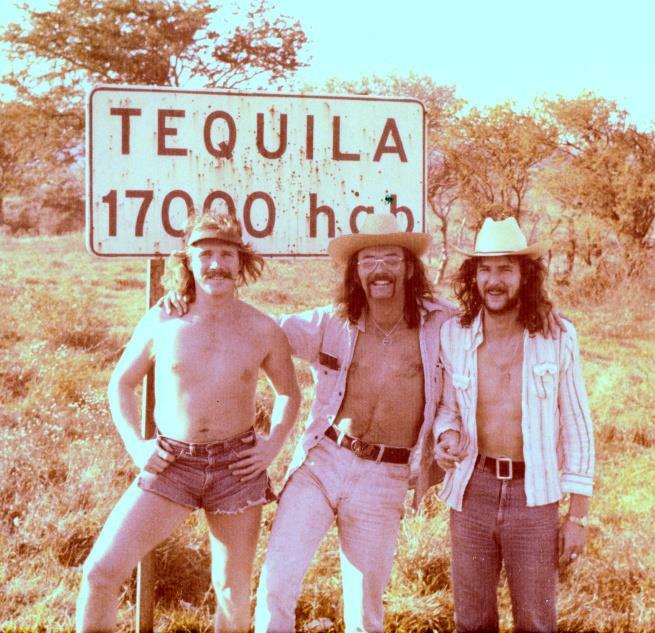 Left to Right: Robb Lucy, President Shane Todhunter, and Rotarian Paul van Westendorp. 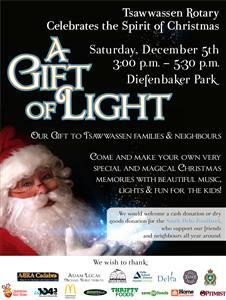 Come join the Rotary Club of Tsawwassen in Celebrating the beginning of the holiday season and the spirit of Christmas! To comply with our Youth Programmes all members must complete a criminal records check. There's a new link on our home page and a new way to get a CRC (Criminal Record Check). The link from the Site Pages list on the left of the home page will take you to a page with more information about how you can meet this request for all members to obtain a CRC. You will need to login to our Club Runner site to access the page. Celebrate Oktoberfest on September 26! 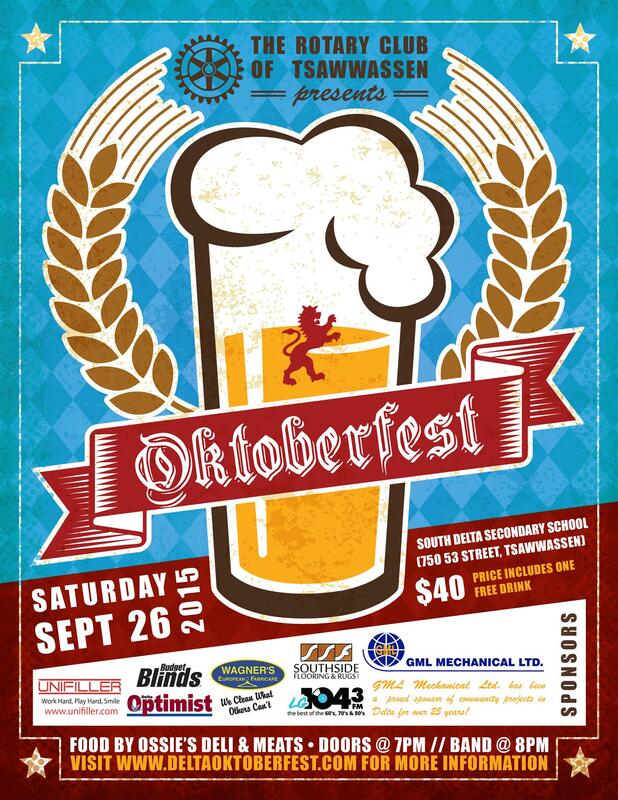 The Rotary Club of Tsawwassen is excited to present its annual Oktoberfest celebration on Saturday, September 26 at South Delta Secondary School. Join us for beer, sausage, sauerkraut, and song and we celebrate all things German! Doors open at 7:00pm, with live Bavarian music by Al Pichler and the Alpiners starting at 8:00pm. Tickets are $40 and include one free drink - and they always sell out, so buy yours today! Food is provided by Ossie's Deli & Meats. For more information and to purchase tickets, visit www.deltaoktoberfest.com. Many thanks to our sponsors: GML Mechanical Ltd, Budget Blinds, Delta Optimist, LG 104.3FM, Southside Flooring & Rugs, Unifiller, and Wagner's European Fabricare. 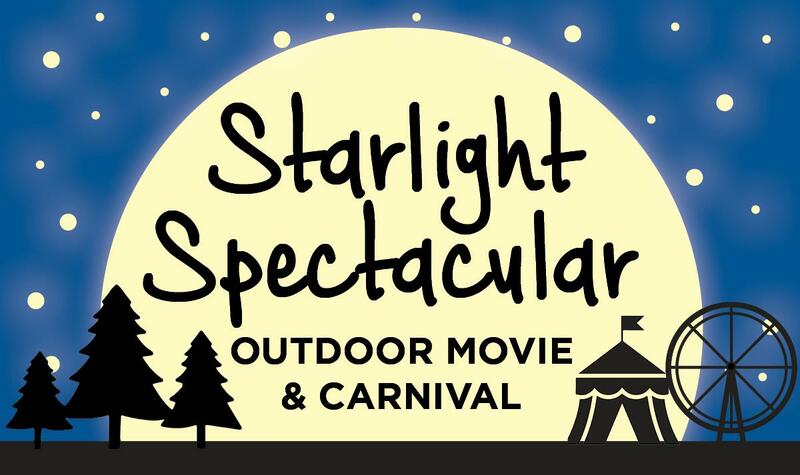 On Saturday, August 15, the Rotary Club of Tsawwassen will host their first annual ‘Starlight Spectacular’ in Diefenbaker Park. 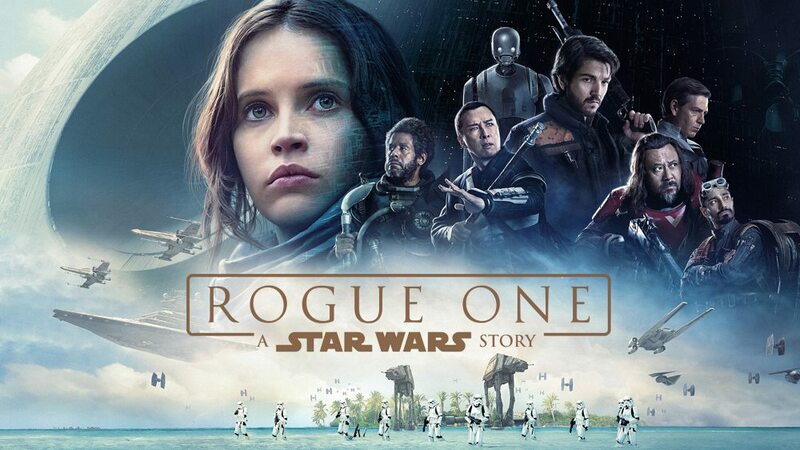 This outdoor, family-­oriented event will feature a free screening of “Guardians of the Galaxy” on the big screen. For the first time, exciting new activities are being added in advance of the movie night and will available by donation. These include a giant slip ‘n’ slide, Euro bungee, bouncy castle, carnival games, and more. Also available will be popcorn, snow cones, candy, and a BBQ concession. Rounding out the evening will be live music and a showcase of community service and athletic groups. While donations to the Rotary Club of Tsawwassen will be accepted, this event is free and made possible by the following sponsors: Rotary Club of Tsawwassen, South Side Flooring & Rugs, Budget Blinds, Wood Electric, Scott Walker and Associates, Meridian Southwest Mortgages, New Vision Projects, Vancity, Acorn Heating & Gas, and the Business Improvement Association of Tsawwassen. 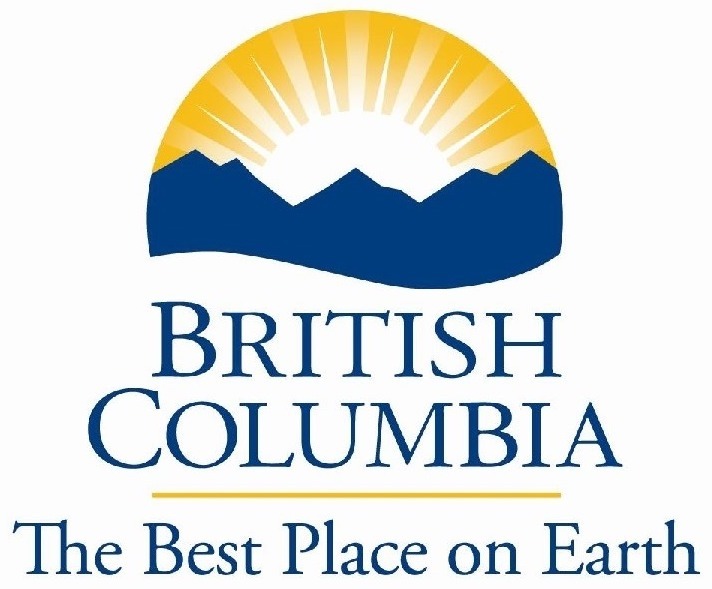 We also acknowledge the financial support of the Province of British Columbia. 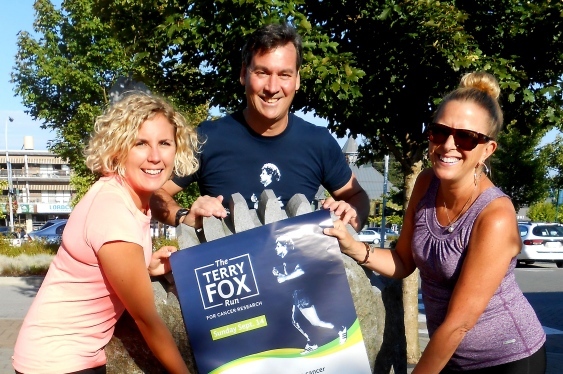 The Terry Fox Run for Cancer Research returns to South Delta on Sunday, September 20, 2015. This event continues to be very important to the citizens of our community. This annual tradition, inspired by a dream, offers both a 5km and 10km route and is suitable for walkers, runners, bikes, wheelchairs, strollers, roller blades, and dogs on leash. There is no entry fee and no minimum donation. We gratefully acknowledge the financial support of the Province of British Columbia for this event. Event registration starts at the Tsawwassen Town Centre Mall on Sunday, September 20 at 9:00am. The run/walk starts at 10:00am with food, drinks, music, and fun to follow! Click here to register and raise funds online (same-day registration is also available). Please contact Sara Kirby at saraemmakirby@gmail.com or 778-789-1943 for more information about the Terry Fox Run or to find out how you can help! 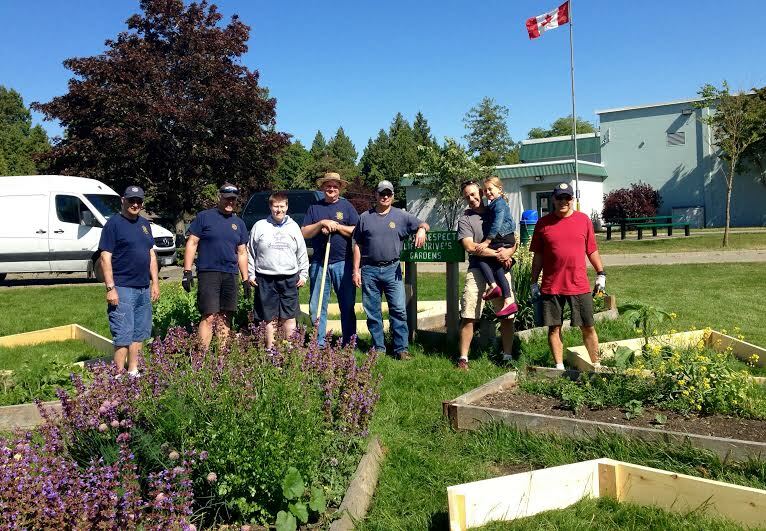 A team from the Rotary Club of Tsawwassen recently leant a helping hand to Cliff Drive Elementary by preparing and installing a number of planter boxes on school grounds. Yet another example of our dedicated Projects Team hard at work in the community! The Tsawwassen Rotary Club is proud to support a number of signature community events throughout the summer. Watch for us at the following events - we look forward to seeing you there! Rotarians will be on-hand at the Denison Park Beer Garden providing set-up, ticket sales, and security. Our Club is proud to organize this event - a summer favourite in the community - every year! 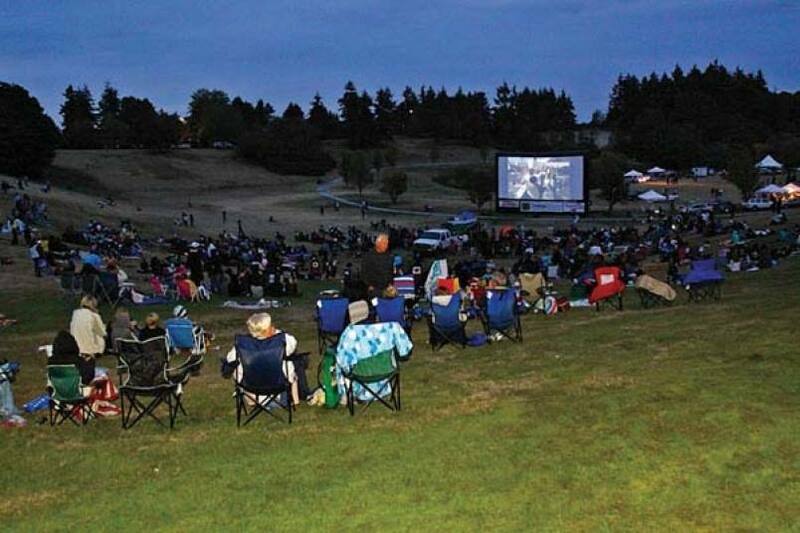 This year will mark the Tsawwassen Rotary Club's first organization of one of the popular Tsawwassen outdoor movie nights. Watch more more details to come! The Heart of Tsawwassen Unveiled! The Rotary Club of Tsawwassen was proud to be part of the recent unveiling of the Heart of Tsawwassen project at South Delta Secondary School. This was an opportunity to showcase not only this impressive project, but also the new upgrades to the school. The Rotary Club hosted a barbecue dinner alongside the school's culinary program, who prepared an impressive array of desserts. We are excited to see this new space become a vibrant hub of school and community activity! On May 14, 2015, 38 young people were honoured at the Delta Rotary Youth Awards. Held at Delta Secondary School's Genesis Theatre, the awards ceremony recognized individuals in Tsawwassen, Ladner and North Delta who were nominated for exemplifying compassion, empathy, inner strength, a helping spirit, and global service. Among the award winners, special recognition was given to Michael Godinho (Sands Secondary School), the recipient of the 'Service About Self Award'; and Rayna Sutherland (Burnsview Secondary School), the recipient of the 'Rotarian Linda Ottho Leadership Award'. Congratulations to all the amazing young people who were honoured! Left to Right: Rotarian Garry Shearer with Michael Godinho, 38 Award Winners, and Rotarian Ulf Ottho with Rayna Sutherland. 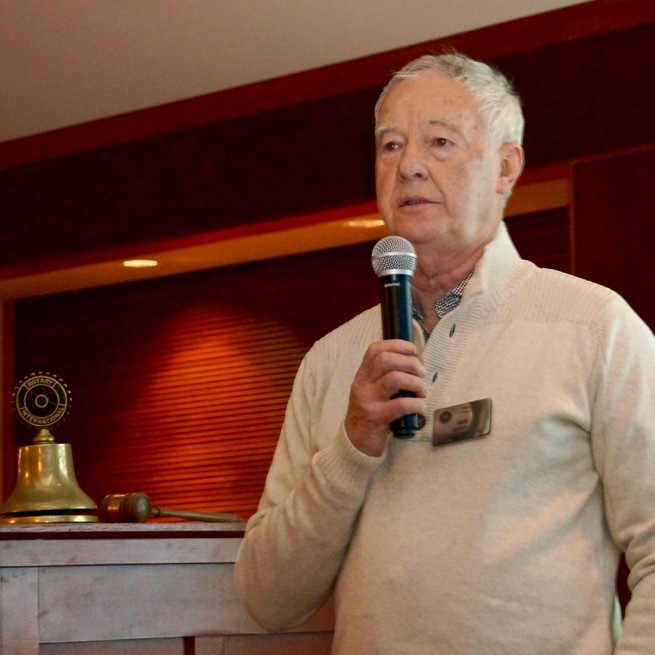 The Rotary Club of Tsawwassen was recently the proud recipient of a number of awards. Both the Rotary Club of Tsawwassen and Interact Club were presented with Presidential Citations by District Governor Ken Wilson in recognition of outstanding service, giving, membership and participation in Rotary events. Also honoured was Rotarian Leslie Abramson, who received the 'Light Up Rotary Award' for her dedication to the growth of our club, community support, unselfish dedication to the betterment of both Rotary and the community, tireless work without expectation of recognition, strong leadership, compassion and kindness. Congratulations, Leslie! Join us for a ribbon-cutting and showcase event for the Heart of Tsawwassen! 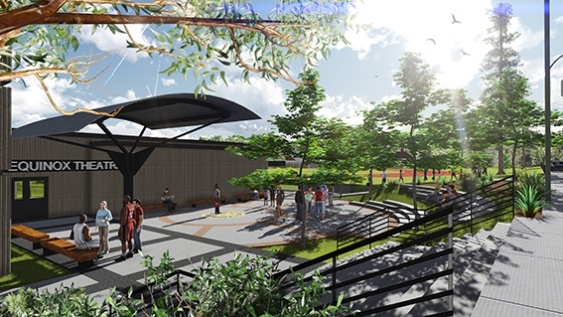 This new community entrance and amphitheatre for South Delta Secondary School (750 53 Street, Tsawwassen) will be formally unveiled on May 21, 2015 at 5:30pm. Following a presentation from Christopher Loat, Shelter Box Ambassador and member of West Vancouver's Sunshine Rotary Club, the Rotary Club of Tsawwassen is proud to have donated $2,000 to ShelterBox. This will fund the purchase of another two boxes. The ShelterBox program provides temporary shelter and lifesaving supplies to those who have been displaced by natural or man-made disasters. Each ShelterBox contains a tent with a one-piece flysheet and dome, a water purification kit, solar lighting, a tool kit and blankets. It even contains a children's activity kit to help them also deal with the trauma. Currently, ShelterBoxes are in place in ten different countries. In 2012, ShelterBox became Rotary International's first project partner. This enables both organizations to collaborate more closely to bring relief to survivors of disasters worldwide. Director of International Projects Vickie Sangster presents the cheque to Christopher Loat, Shelter Box Ambassador and member of West Vancouver's Sunshine Rotary Club. Support the Delta Rotary Youth Awards! Submissions marked to the attention of Kay Gandham can by made in person to any Envision Financial branch in Ladner, North Delta, or Tsawwassen; by mail to P.O. Box 1405, Delta, BC V4M 3Y8; or by fax to 604-501-4201. For more information, contact Leslie Abramson at abramson@telus.net or 604-946-0672. The Awards Ceremony will be held on Thursday, May 14, 2015 at the Delta Secondary School Genesis Theatre. Lead sponsorship provided by Kwantlen Polytechnic University. 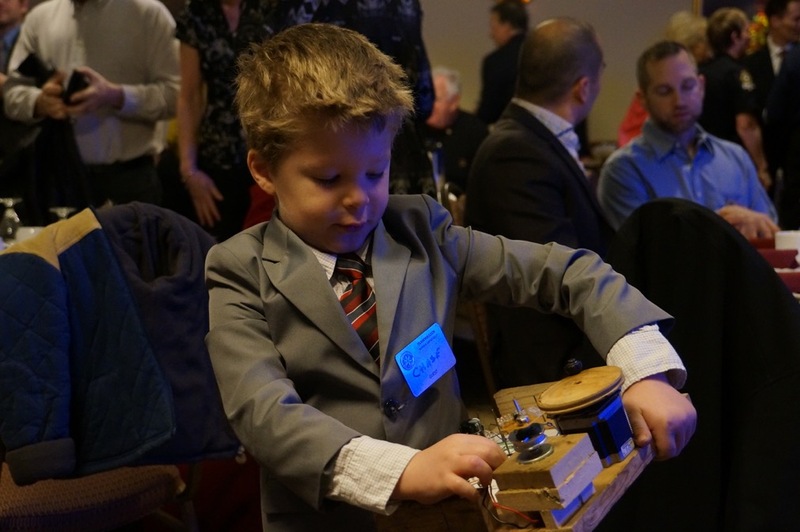 Five year-old Alex, son of Rotarian Matt Wood, proved on Thursday that you're never too young to help others! When Alex recently celebrated his fifth birthday, he opted to host a $5 and $5 party with guests bringing $5 for Alex to use towards a gift and $5 to go to a charity of Alex's choice. 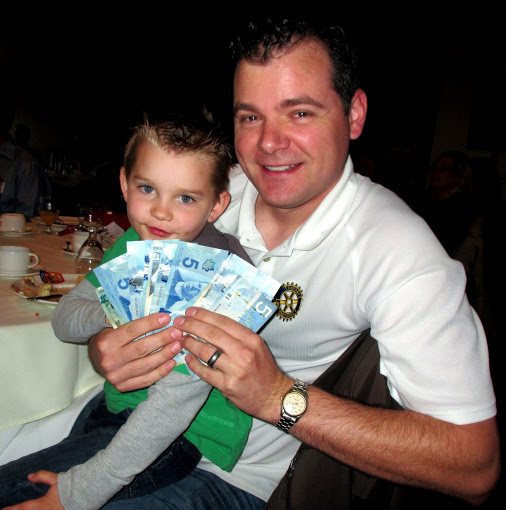 Alex chose the Rotary Club as his charity, and proudly donated $170 at our last meeting. Note: For anyone who did the math, Alex didn't have 24 kids to his party (much to his parents' relief!) - the final donation amount was a result of a generous additional donation from one of the party-goers. Alex's donation will help fund medical beds for the Rotary Path to Health, which supports the delivery of primary health care to thousands of the rural poor in Zimbabwe. Thank you for your contribution Alex - we're so proud of you! 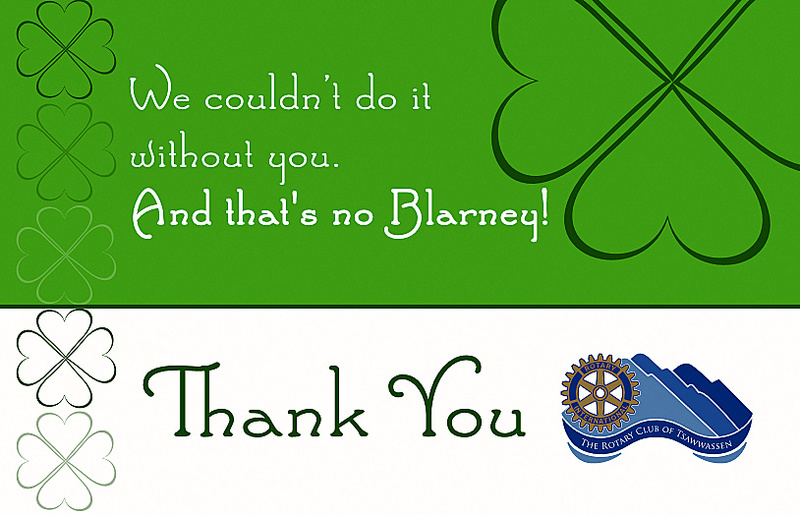 The Rotary Club of Tsawwassen would like to sincerely thank the generous sponsors who have stepped up to help ensure that our Easter Egg Hunt and Pancake Breakfast on April 4th can be offered free of charge as a gift to our community. Thank you for your support! 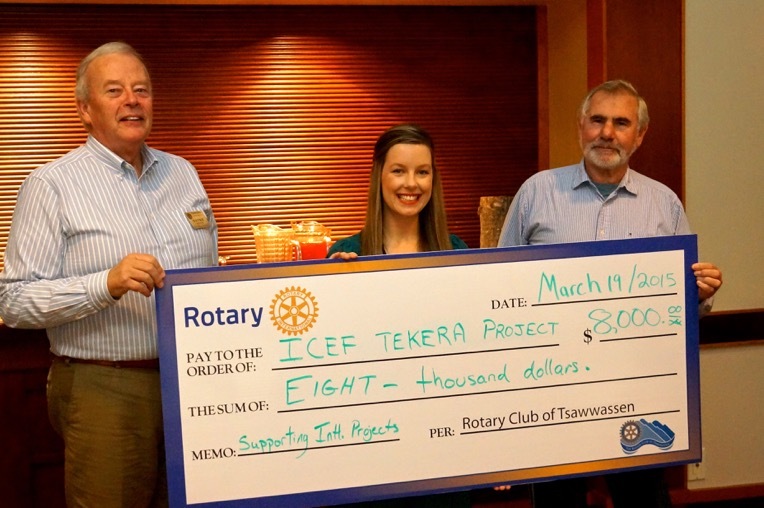 On Thursday, March 19, the Rotary Club of Tsawwassen proudly donated $8,000 to ICEF Canada. ICEF Canada is a Tsawwassen-based not-for-profit organization that has been working in support of the Tekera community in rural Uganda for several years. The funds will be directed towards much-needed housing for the community's nurse and farm manager, as well as towards a gender-sensitive environment for female students. The work of ICEF Canada centres around the management of the Tekera Resource Centre (TRC). At the TRC, ICEF provides primary and adult education, medical and dental care, economic empowerment opportunities, clean water and skill-building to nearly 8,000 persons living in and around Tekera Village. The Tekera Resource Centre has a unique model of development that has been effective in empowering the local communities by providing vital services in which the community is a firm stakeholder. ICEF Canada also contributes to the welfare of 30 orphans cared for in the Nazareth Children’s Home. For more information, visit www.icefcanada.org. Rotary Club of Tsawwassen President Wayne Connorton and Rotarian Peter Edwards present the cheque to Bridget Sangster, President of ICEF Canada. 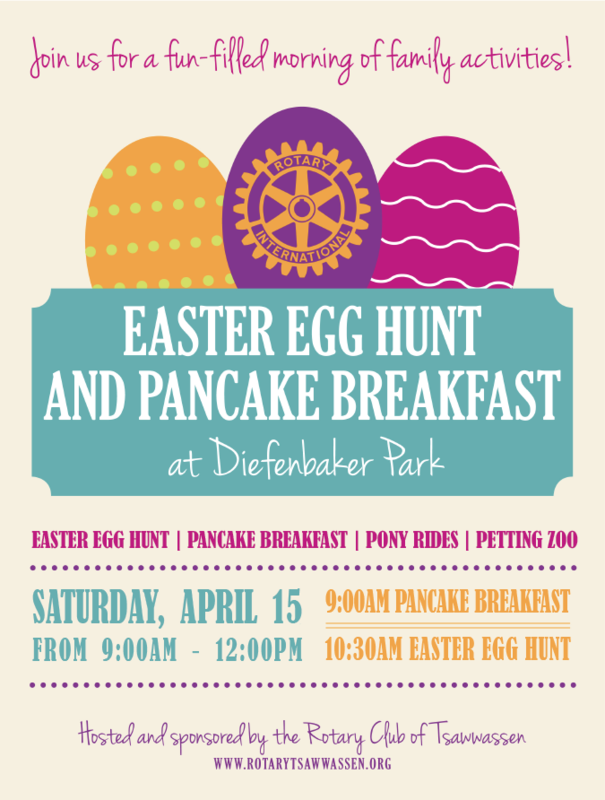 Enjoy an Easter Egg Hunt and Pancake Breakfast! 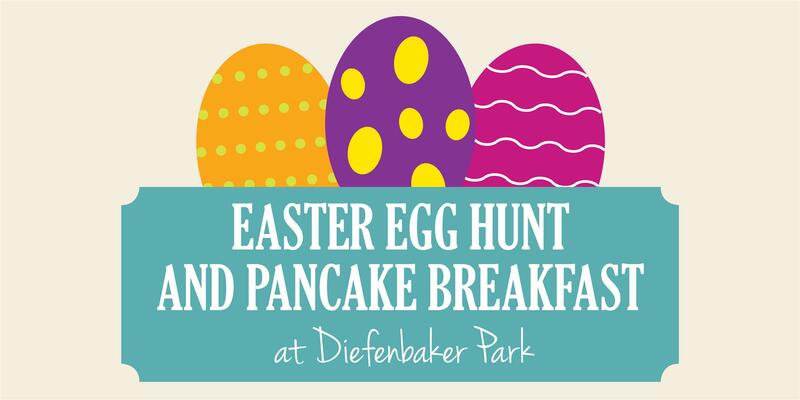 Join us for a fun-filled morning of family activities at Diefenbaker Park! Come celebrate with an Easter egg hunt, pancake breakfast, cookie decorating, a bouncy castle, and a petting zoo. 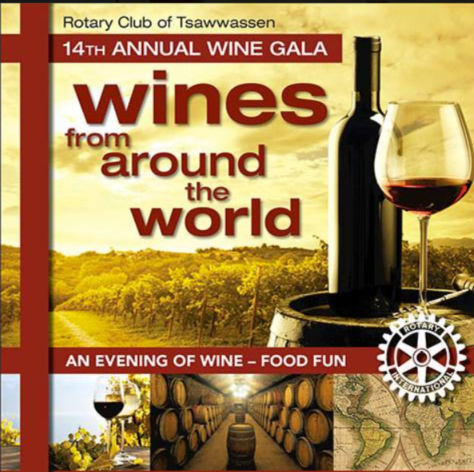 The Wine Gala is the Rotary Club of Tsawwassen's largest annual fundraising event, with proceeds benefiting the many local and international projects undertaken by rotary. On Thursday, February 19, the Rotary Club of Tsawwassen hosted its annual 'Meal to End Polio', raising $1,200 US for End Polio Now. Through a partnership initiative launched between the Bill & Melinda Gates Foundation and Rotary International in 2013 as part of a bold campaign for polio eradication, this donation will be matched two-to-one by the Gates Foundation for a total of $3,600 raised. 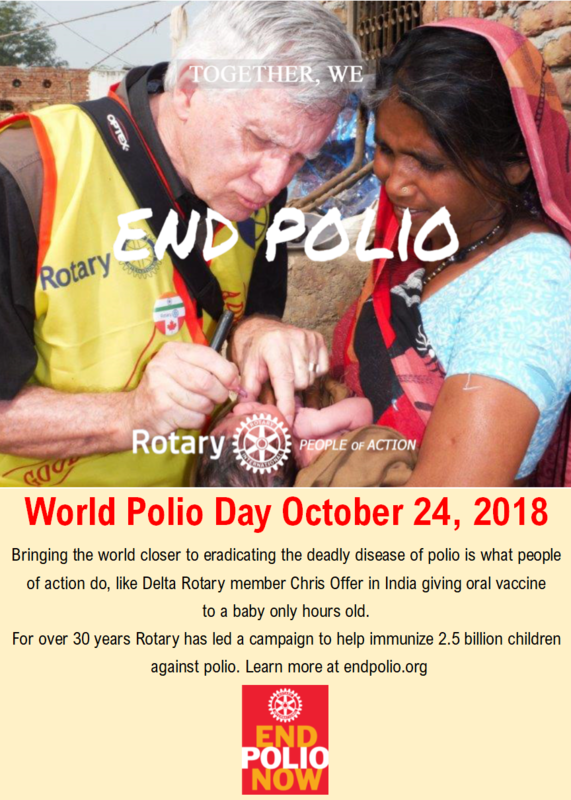 With the cost to vaccinate a child in a Third World country a mere $0.60, Rotary's 'Meal to End Polio' will result in approximately 6,015 children being vaccinated against this debilitating disease. The Rotary Club of Tsawwassen’s annual breakfast was hosted at the KinVillage Community Centre, with the venue rental provided courtesy of KinVillage and breakfast donated by Urban Village Catering at the KinVillage Café. The breakfast event featured guest speaker Joan Toone, President of the Post Polio Awareness and Support Society of BC. Toone spoke passionately of the history to eradicate polio starting in the 1960's, the evolution of Rotary’s involvement and commitment to polio eradication starting in the early 1980's, and the importance of finishing the work. 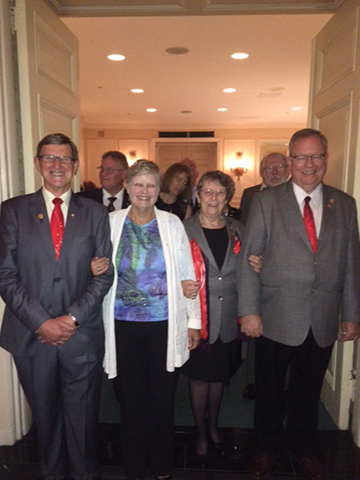 From left to right: Terry Toone, Rotarians Rick Lewall and Garry Shearer, President of the Post Polio Awareness and Support Society of BC Joan Toone, and Rotarians Leslie Abramson and John Charbonneau. Congratulations to North Delta's 100 Acre Wood Family Day Care, who won the 4th Annual Delta Rotary Business Ethics Award on Friday evening. We are proud to recognize this organization as a model of ethical business practice in our community. Three other Delta companies also recognized were Augustine House (Ladner), Complete Cleaning Services Corp. (Tsawwassen), and Studio 64 Personal Training Inc. (North Delta). 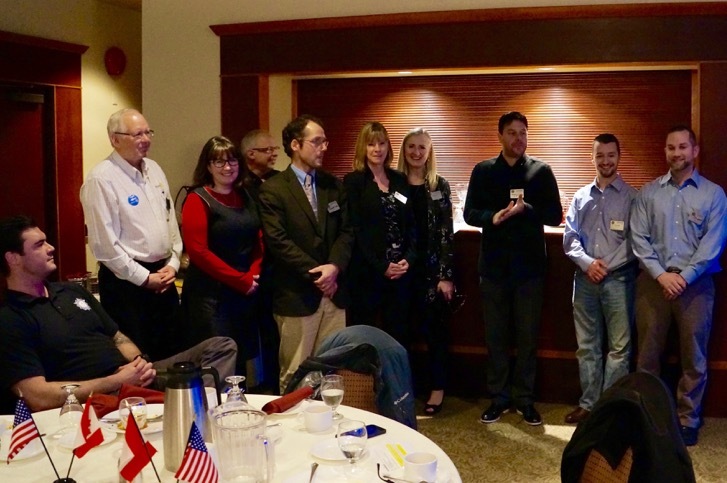 The Rotary Clubs of Tsawwassen, Ladner, and North Delta - along with the Kwantlen Polytechnic University Enactus business student chapter that administered the nomination process - sponsored the event held at the Delta Town and Country Inn. 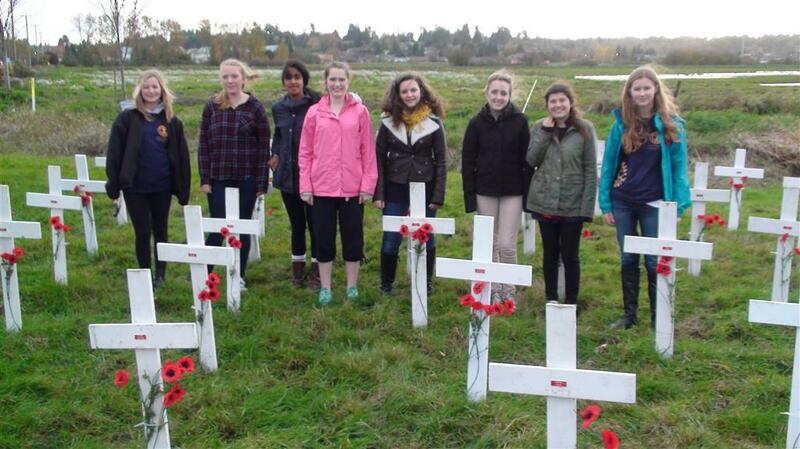 The SDSS Interact Club and Rotary Club of Tsawwassen recently engaged in a little healthy competition for a good cause. Challenged to see who could collect more clothing items, the Rotary Club admitted defeat to the Interact Club, having collected 395lbs of clothing to SDSS's 458lbs (although there are really no losers in this kind of contest!) 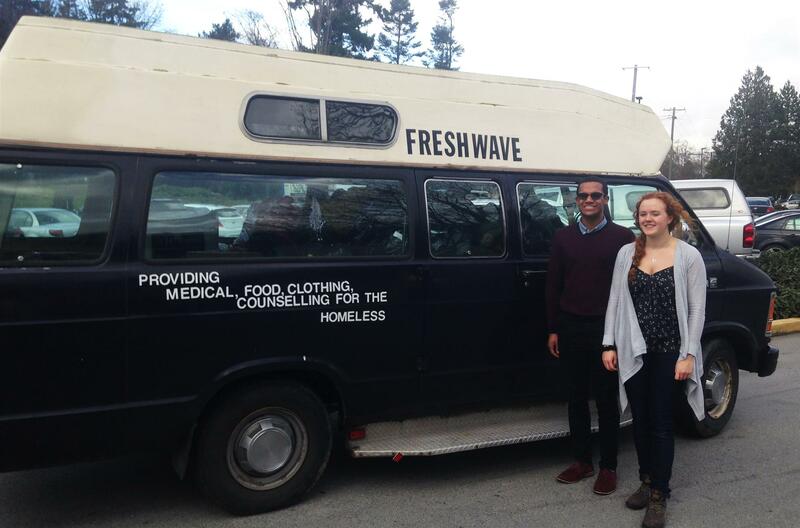 This marks the fourth year in a row that Interact has made a donation to Freshwave Ministries, who, in turn, distribute the clothes to the people who need them the most in Vancouver's Downtown Eastside. We are very proud of our Interact Club and the leadership they take in their school to reach our surrounding communities! On Thursday, the Rotary Club of Tsawwassen was proud to show our support and commitment to the Heart of Tsawwassen project at South Delta Secondary School through the presentation of a cheque for $88,500. On hand to receive the donation was Frank Geyer, Director of Facilities and Planning for the Delta School District. The Heart of Tsawwassen is a beautiful, functional amphitheatre in the final stages of construction at the south-west entrance to SDSS. This landscaped space will serve as a meeting place for students and the community alike. For more information on the project, visit www.heartoftsawwassen.com. We are pleased to announce the selection of the finalists for the 4th Annual Delta Rotary Business Ethics Award. These four finalists stand out among local businesses and organizations that exemplify the Rotary Four-Way Test, which asks: Is it the truth? Is it fair to all concerned? Will it build goodwill and better friendships? Will be be beneficial to all concerned? Congratulations to 100 Acre Wood Family Daycare, Augustine House Society, Complete Cleaning Services, and Studio 64 Personal Training. Join us for a gala dinner sponsored by the Delta Rotary Clubs to learn about the ways these companies provide ethical leadership in our community. This will also be a great opportunity to network with business and community leaders. Delta Town and Country Inn. Register by phone at 604-946-0672 or by email at abramson@telus.net. Cheques payable to Delta Rotary Ethics Award. The Rotary Club of Tsawwassen would like to offer our sincere thanks to to Oliver, George and Tyler from Barlett Tree Experts for their help removing the thousands of lights at Diefenbaker Park this past week (after tireless working to put them on back in November!) 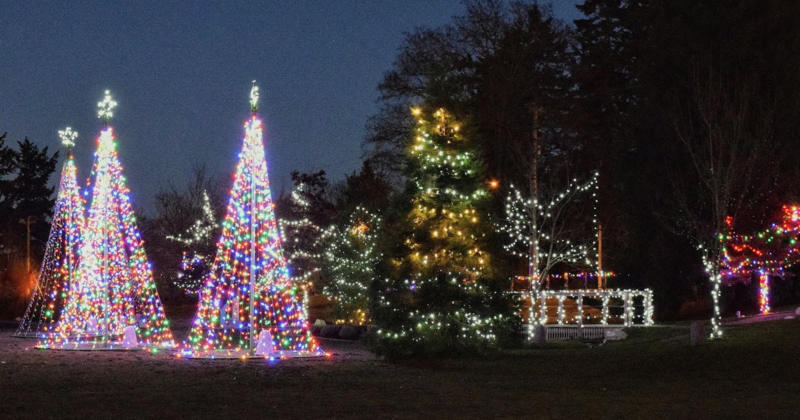 Each year, Rotarians and other community volunteers string lights on the trees of Diefenbaker Park and invite the community to share the joy of Christmas. Thank you to Barlett Tree Experts for being a friend to Rotary and the Tsawwassen community! On December 14, the Rotary Club of Tsawwassen hosted its annual Christmas lunch for the seniors in our community. This festive, three-course turkey lunch, held at the Coast Hotel, hosted over 85 seniors and Rotarians, including residents of KinVillage, The Waterford, and Augustine House. The afternoon was filled with Christmas spirit and highlighted by a visit from Santa (who came bearing gifts for the seniors - all of whom appear to have ended up on the 'nice' list) and a joyful Christmas carol sign-along. Sincere thanks to Randy's Tire and Auto Center, our generous event sponsor! 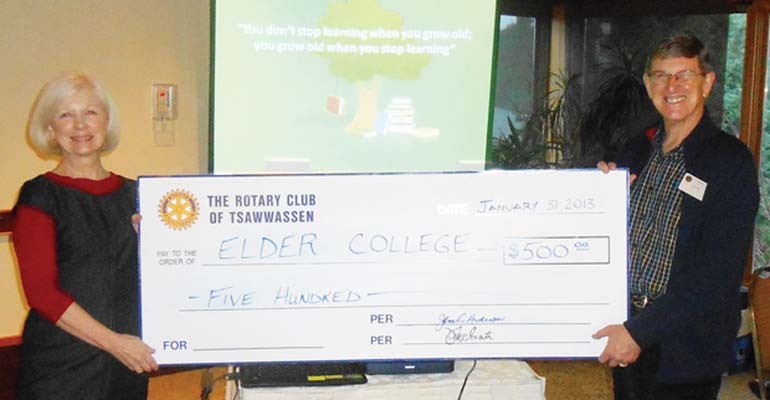 On Thursday, the Rotary Club of Tsawwassen was proud to donate a total of $3,500 towards the students in our community. The funds are administered through school principals (who arrived to our bright and early breakfast meeting to accept their cheques!) and go to students who are otherwise unable to participate in class field trips due to financial reasons throughout the course of the year. Rotarian Johann Steinmann presents cheques to principals from South Delta Secondary and Tsawwassen's elementary schools. Rotary Spreads Some Christmas Cheer through Deltassist! On Thursday, the Rotary Club of Tsawwassen showed our support to Deltassist through a $1,000 donation to its annual Christmas Hamper Program. We are proud to support this incredible organization that brings hope and happiness to the people who need it most. Each year Deltassist, in partnership with the service clubs of Delta, distributes food hampers to low income families and seniors in our communities. For more information on how you can help, click here. 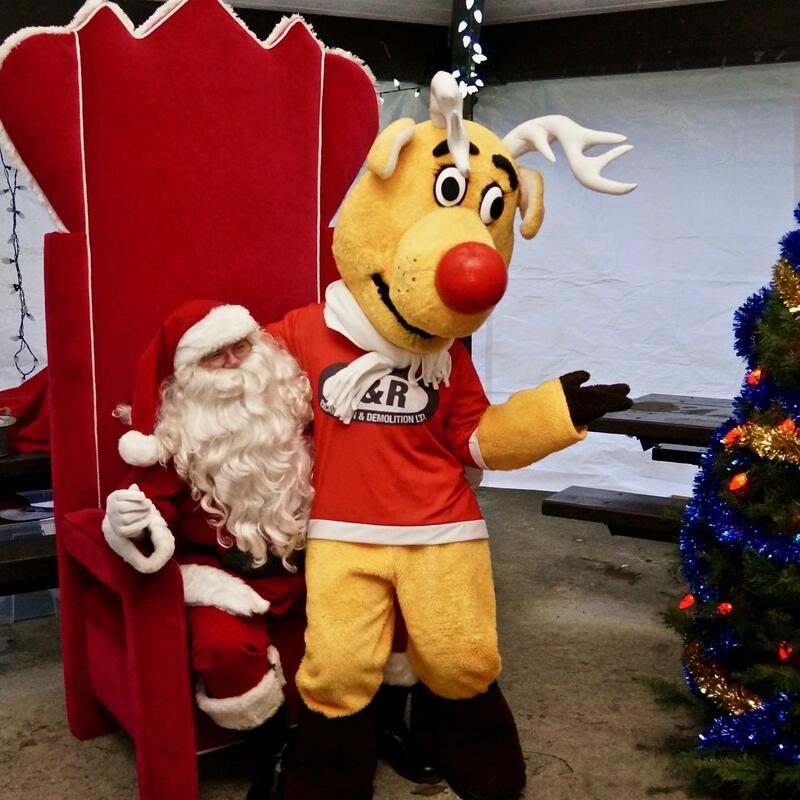 Santa Turns on Christmas Lights and Spreads Joy at Diefenbaker Park! 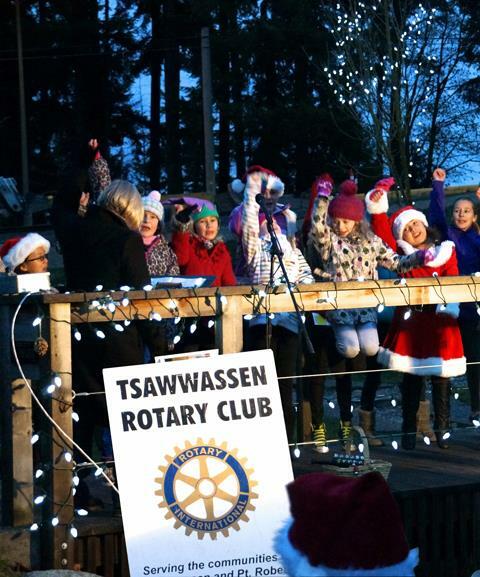 The welcome Saturday morning sunshine on November 22 gave Tsawwassen Rotarians the chance they needed: they scrambled to get the Christmas lights up for the residents of Mountain View Manor and Delta Hospital! The annual work party continues the tradition of preparing for the Christmas holiday season by helping others in the community. ... for graduating from their Governor Elect Training Seminar in Toronto. The Tsawwassen Peace Pole Ceremony on September 21 included a reflection from Sonya Sangster - a commercial pilot working with the United Nations and Vice-President of ICEF Canada. Her words captured a glimpse into the conflict in Darfur and the efforts of many to bring about peace in the region. Join us on Saturday, October 11 in a celebration of all things German as the Rotary Club of Tsawwassen presents Oktoberfest 2014. This lively community event features free-flowing German beer, dinner from Ossie's Deli & Meats, and fantastic live Bavarian music from Al Pichler and the Alpiners. Reserved seating is limited and tickets are selling quickly! An annual tradition, inspired by a dream. No entry fee. No minimum donation. Same day registration available. 5km, 10km. Suitable for bikes, wheelchairs/strollers and Rollerblades. Dogs welcome on leash. Thank you to all this years supporters..
And the Most Honest Golfer Prize of a round of golf for 4 at Kings Links By The Sea goes to Jane Cusack. Madeleine Wieczorek, of Tsawwassen said "...I will be brave in the attempt to do my best", when referring to her prospects at this year's BC Special Olympic Summer Games. She spoke of the upcoming games July 8th to 12th in Vancouver, the hard work and dedication the many athletes have preparing for the event. She spoke of the friendships, self - confidence and sense of accomplishment the games provide. Anyone would love this job! Shari Merritt has been having great fun collecting money and bottles of wine from around the world! Shari will soon see the results from her collecting efforts turned into a spectacular 70 bottle wall of wine! That astonishing display will be the backdrop for An Evening of Wine and Roses. 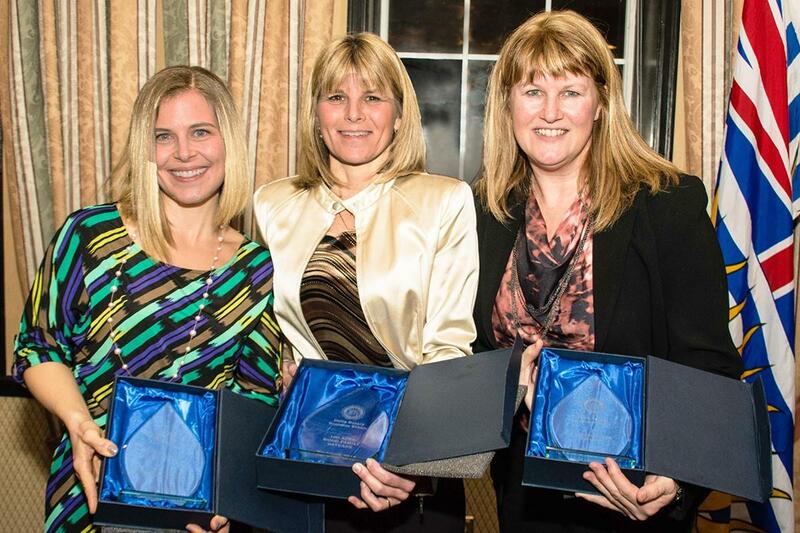 March 8th marks the 7th Annual Rotary Wine Gala to be held at the Beach Grove Golf Club. This year features another first, tastings of both fabulous OLD WORLD and award winning NEW WORLD wines. 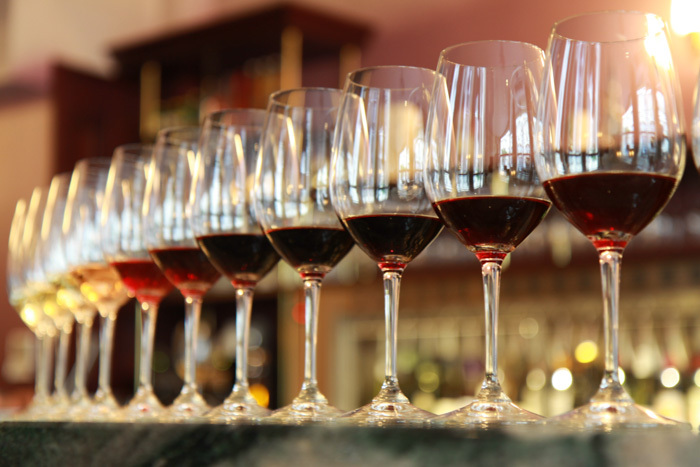 Sampling and experts in attendance represent 12 wineries of international renown sampling up to 72 wines! An unending parade of gourmet hors d'oeuvres prepared by award winning Chef Froilan Alejo will complement the palate pleasing nectars. Included are delightful surprises and many community pleasing favorites. The satisfying decadence of goodness continues with an array of ‘to die for’ chocolate samplings. The entire evening promises phenomenal palate pleasing pleasure for any person! South Delta, a billionaire and a billion people all celebrated the official eradication of polio from India! 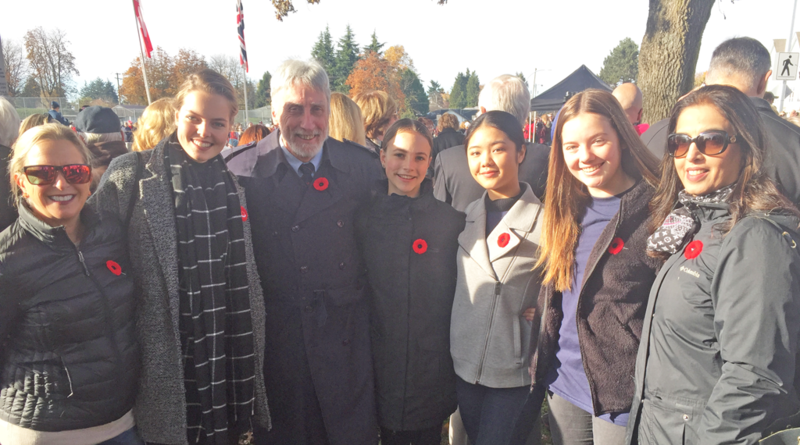 Delaney Griffiths, Erin Turko and Will Shelling, members of the Interact Club of South Delta Senior Secondary were leaders of the youth of South Delta that helped achieve this historic milestone! They were among 63 members and guests from Tsawwassen Rotary that shared an exotic, wholesome, satisfying and taste bud pleasing traditional Indian breakfast. All in gratitude and celebration of the end of polio in India. The Rotary Club of Tsawwassen donates $3700.00 in support of the International Community Empowerment Foundation. At a recent Rotary Club of Tsawwassen breakfast meeting, guest speaker, International Community Empowerment Foundation President Bridget Sangster was presented with a donation of $3700.00 which will be used towards improving the sanitation and latrines at the Tekera Resource Centre in Uganda. The village services a community of 8000, providing an elementary school, medical clinic, women's craft club, and cooperative farm. Find out more at www.icefcanada.org. 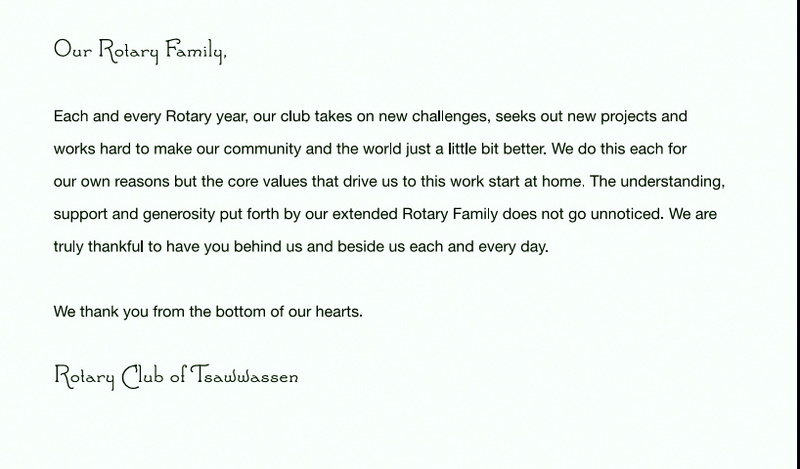 The Rotary Club of Tsawwassen has been a great supporter of the Tekera village. The new lights at the Rotary Water Park in Diefenbaker Park seem to be a hit. The recent ceremony to LIGHT UP THE PARK was as much a hit as the lights themselves. The community turned out and was treated to not only Free hot chocolate but some excellent Carolling by students from Beach Grove Elementary School. The community is invited to join Mayor Jackson and members of the Rotary Club of Tsawwassen this Saturday, December 14th at 4:00 pm to LIGHT UP THE PARK at Diefenbaker Park. This festive family gathering will celebrate the season with over 16 trees lit up, including the BIG TREE which will sparkle with over 1700 lights. For the past few weeks, local Rotarian volunteers have braved wind and rain to ensure the trees throughout the Rotary WaterWorks water park will be ready for Christmas viewing. Everyone is invited! A memorable Christmas lunch for Seniors was sponsored by Randy Scott of Randy's Tirecraft on Sunday December 8th. The annual Tsawwassen Rotary Christmas Senior’s Luncheon took place at the Coast Tsawwassen Inn on Sunday, December 8th. 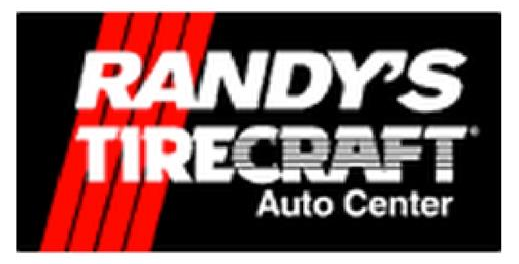 A huge thank you to Randy Scott of Randy’s Tirecraft who again generously sponsored the senior’s hot turkey lunch. Christmas Spirit abounded with carol singing and a special visit from old Saint Nic. The Delta Hospital "Light the Way" December 4th Evening will be bright with Christmas lights. On Saturday November 30th a team led by Peter Edwards from the Tsawwassen Rotary Club and some of our great youth from the Interact Club were out in their rain gear putting up many strands of Christmas lights in the gardens around the Delta hospital. The Delta Hospital will have lights a blazing over the holidays. Congratulations to this Months Calendar Winners. The Rotary Club of Tsawwassen recently donated $1,500 to Reach Child and Youth Development Society’s teen social program. The program has a cost of $22,000 per year and is designed to help teach social skills to autistic youths. “The program helps these youths with prominent developmental challenges better connect to the community, fit in and have fun”, say Reach Executive Director Renie D’Aquila. “Our many thanks to Rotary for helping with these funds”. 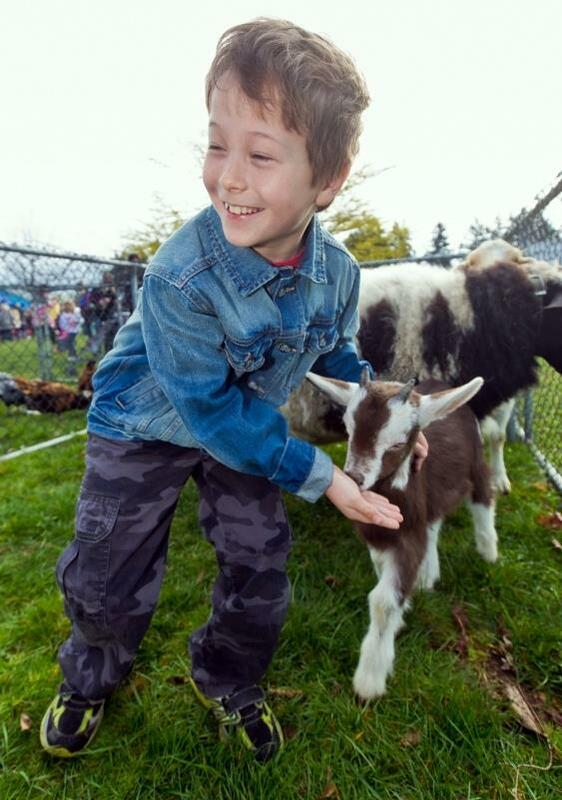 Reach is currently raising $4 million to build a new 20,000 square foot community-based child development centre in Ladner on 47th avenue, neighbouring Pioneer Library and Memorial Park. Building in the heart of the community will remove access barriers, give more children the critical services they need, and link families to other community services more efficiently and effectively. For more information about Reach’s capital project call Executive Director Renie D’Aquila at 946-6622 or visit the capital campaign website at www.reachdevelopment.org/campaign. On Thursday, 6th June 2013, the next District Governor for District 5040 was duly inducted. Garry Shearer from our Rotary Club of Tsawwassen takes over from current DG Rebecca on July 1st and after the long road which started with his nomination, Garry is now set to take the reins and guide us through the Rotary Year 2013-2014. 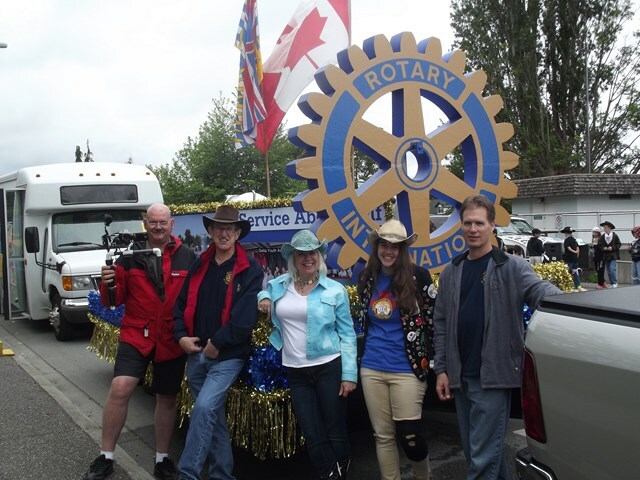 The Tsawwassen Rotary Club float made its debut this past Sunday in the Ladner May Day's parade. Congratulations to all of this years Rotary Masters Golf Pool Winners! Led by the inimitable Steve T., several of our Rotarians stepped up and on to the Big Bike recently. As a fund raiser for the Heart & Stroke Foundation, the Big Bike allows up to 30 prominent peddlers to ride around the streets of their community for a short distance while raising money for a worthwhile charity. The pictures show that they had fun doing it too. Rotary Club of Tsawwassen 2013 - Looking Good! This Club Is For The Birds! And the birds love us for it. On Saturday, 23rd March, a large group of Rotarians, partners and even some offspring, assembled at O.W.L. (Orphaned Wildlife Rehabilitation Society) to provide some much needed Spring Cleaning. There the hard-working bunch power-washed, gardened, painted and even attacked a daunting assembly of brambles, all with the intention of making the grounds look attractive for the open house scheduled for next month. Those of you with iPhones (and now Android phones) may be aware of an "App" that provides access to some of the aspects of your ClubRunner website on your mobile phone. You may also be aware of issues with the performance of the app. After communicating with ClubRunner support, they admitted that there are some problems, specifically with the operating system (iOS) on the iPhone. But they have a solution.. The even better news is that this solution provides access to our ClubRunner site from any mobile device with a web browser - which should be all of the smart phones out there. Join Tsawwassen Rotary on April 20 as we recycle many items our blue boxes cannot take! Want To Keep Up With Our Outbound Exchange Student? Well Courtenay has a blog where you can see what she's doing during her exciting year in France. Love is in the Air, and you can just feel the excitement building! Have you purchased your Rotary Wine Gala tickets yet? This evening of fun, romance, chocolate and fine wine is set for Saturday, February 9 at the Beach Grove Golf Club, 7 pm. Don't miss out on the earlybird price of $75 until Feb 1, as you'll pay way more afterwards, or maybe not at all because we expect to be sold out by then! Lots of fun is planned like putting your best lips forward on the 'Kissing Wall' or take your chances and buy a key to the mystery jewelry box! Tickets include gourmet hors d’oeuvres, decadent chocolate tasting, both live and silent auctions and of course your wine for the evening such as Tinhorn Creek, Summerhill, Desert Hills, Pacific Breeze, Thorn-Clarke, Mud House, Fort Berens, and Persus. Tickets are now available at our Thursday morning meetings by cash or cheque. Bring your sweetie and celebrate Valentine's in style and please help us by inviting friends to join in the fun. For more information on this year's Wine Gala or to purchase tickets online, please visit the website at http://rotarywinegala.com/. 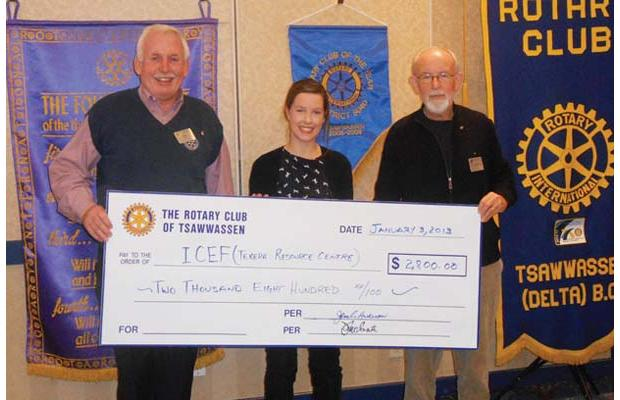 The Rotary Club of Tsawwassen recently presented the International Community Empowerment Foundation with a cheque for $2,800 towards the purchase of solar panels for Tekera Primary School in Uganda. The foundation operates the Tekera Resource Center, which provides primary and adult education, medical and dental care, economic empowerment opportunities, and water and sanitation to nearly 8,000 per-sons in and around Tekera Village. Foundation VP Bridget Sangster attended a recent breakfast meeting and expressed her gratitude to the local Rotary club. "Words can not express our deep gratitude," said Sangster. "Thank you so much for supporting our initiatives in Uganda." 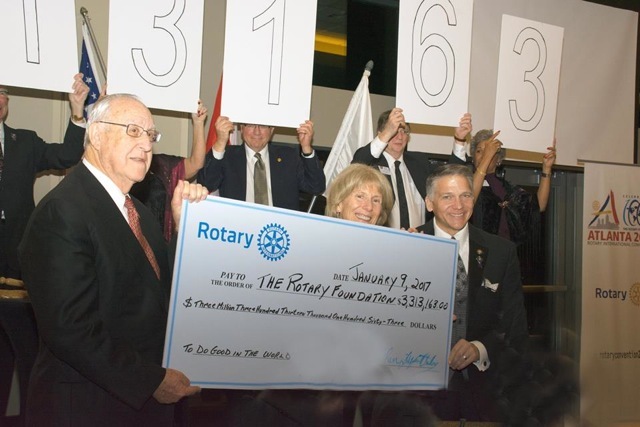 In 2012, the Rotary Club of Tsawwassen also provided the foundation with money for a 2005 Toyota Helix 4 x 4 truck. With Tekera being 17 kilometres down an extraordinarily treacherous road, it was important to have a vehicle the center could count on. A number of local schools also support the Tekera Resource Center through the Schools Supporting Schools program. 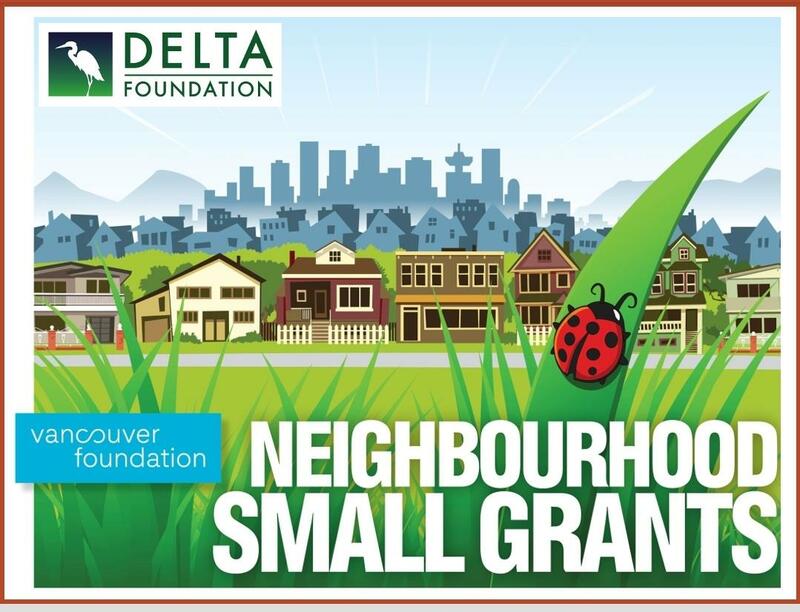 Those taking part include Cliff Drive, Beach Grove and Holly elementary schools as well as Delta, South Delta, Palmer, Delview and North Delta secondary schools. Rotary Club of Tsawwassen past president Rick Lewall (left) and international projects director Graham Mallett (right) present a cheque to Bridget Sangster of the International Community Empowerment Foundation. Our club welcomed it's newest member, Leisa Schaefer, on December 6, 2012, when she was inducted into our club by PDG Mary Watson. Leisa is a member of the Delta Police. Both her father and grandfather were Delta police as well, and her grandfather was a Delta Police member when there were only 4 on the force! Leisa is married to a Delta Police sargeant, they have four children and live in Tsawwassen. Rick Lewall sponsored Leisa and mentioned he thinks this is the first time we have inducted a new member who was carrying a gun! Vickie Sangster will be her mentor. Welcome, Leisa! At our November 29th weekly breakfast meeting, the women of Tsawwassen Rotary surprised their fellow male Rotarians by standing and sporting various upper lip growths in support of the Movember campaign. Here are the October Calendar Winners. Congratulations to this months Calendar Winners! The three Community Policing Vans are unveiled in a ceremony with Delta Police and the Rotary Clubs of Tsawwassen, Ladner and North Delta. These vans were made possible with combined funding between the three clubs in partnership with the Delta Police Foundation. 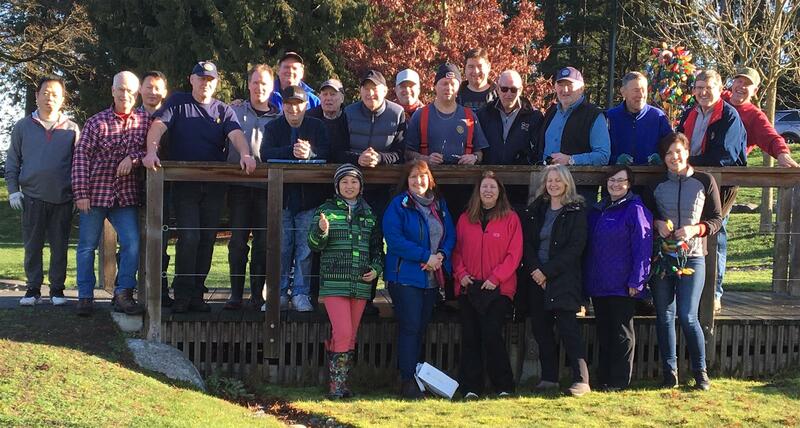 Rotarians from the Tsawwassen Club recently participated in a Department of Fisheries and Oceans program to protect fish and wildlife water habitats. Check out a list of the Monthly Calendar Winners. Check back each month for more winners! 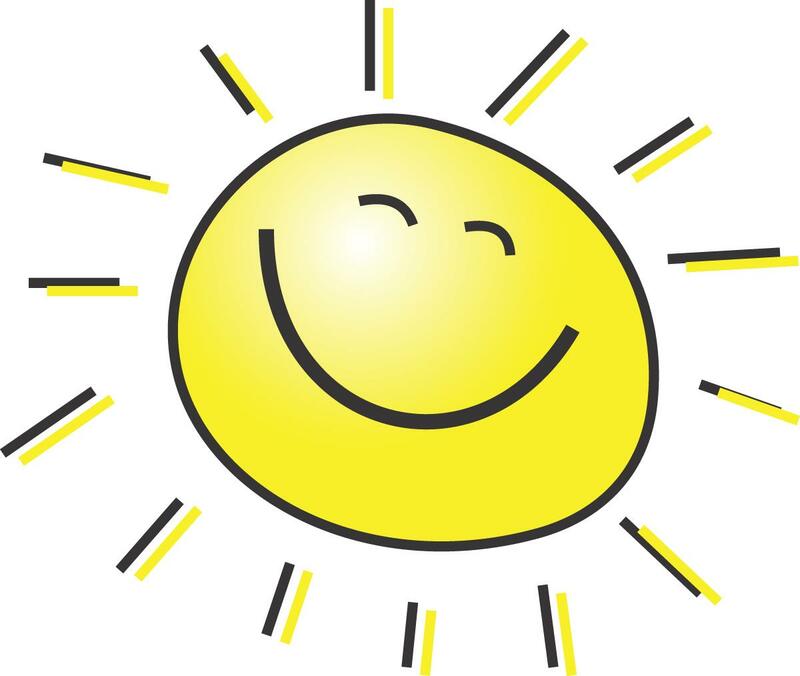 Monday 6th August 2012 dawned dry and sunny as yet another Tsawwassen Sun Festival came to its last day. 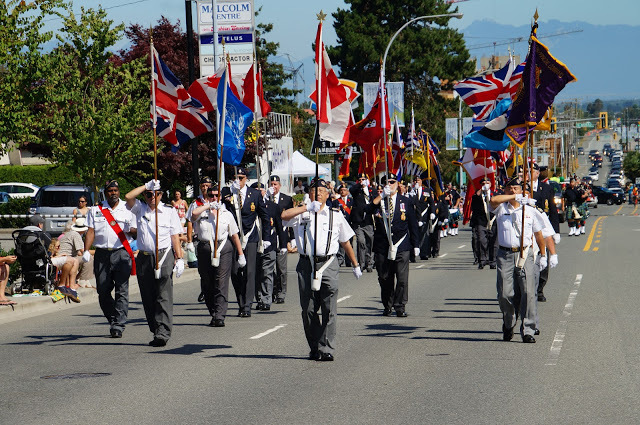 The traditional parade, organised by the Rotary Club Of Tsawwassen is a high point for many and as usual, the crowds were lined up 56th Street to watch. Second Test Drive in Tsawwassen a success! Dueck Richmond presented a donation cheque in the amount of $4250.00 to the Rotary Club of Tsawwassen. Here are some photos from Murray and the rest of Team Thor's Hammer. 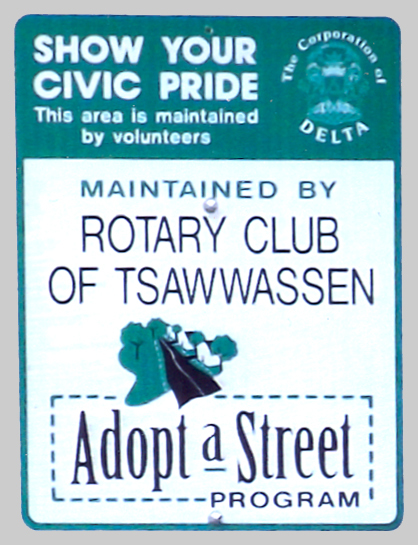 The Rotary Club Of Tsawwassen has been assigned a portion of a street in our community as part of the Adopt a Street program. The section of 12th Avenue stretching from 56th Street west up to the junction with English Bluff Road is now adorned with a sign identifying our club as the one assigned to this thoroughfare. Earlier this year, the first work party participated in a clean up of the street (see story below) and from time to time, we will be repeating the process. The annual Delta Rotary Youth Awards night was held on Saturday May 12, 2012 at the Delta Town & Country Inn and once again we heard some amazing stories about the young people in our community. They, their parents and families and all of us who live in Delta should be very proud of their accomplishments. 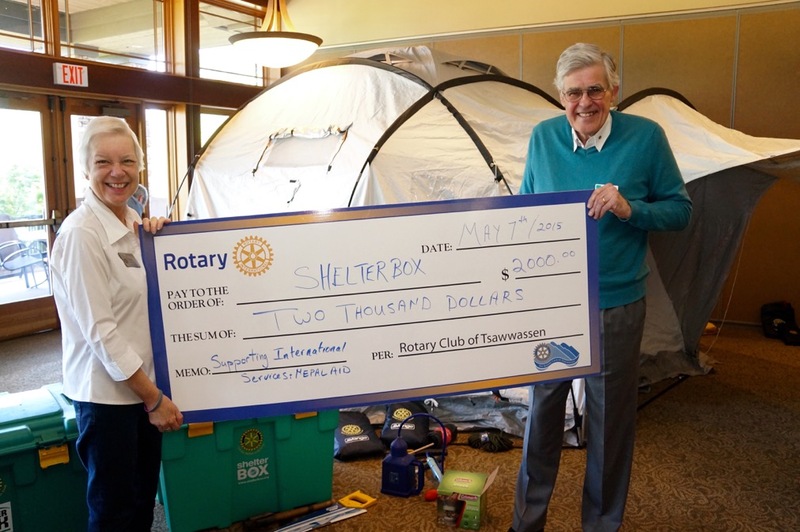 Tom Henderson — the founder of Shelterbox — recently visited Vancouver and at a dinner to mark the event, the Rotary Club of Tsawwassen was recognised for its generous support of this worthwhile humanitarian endeavour. 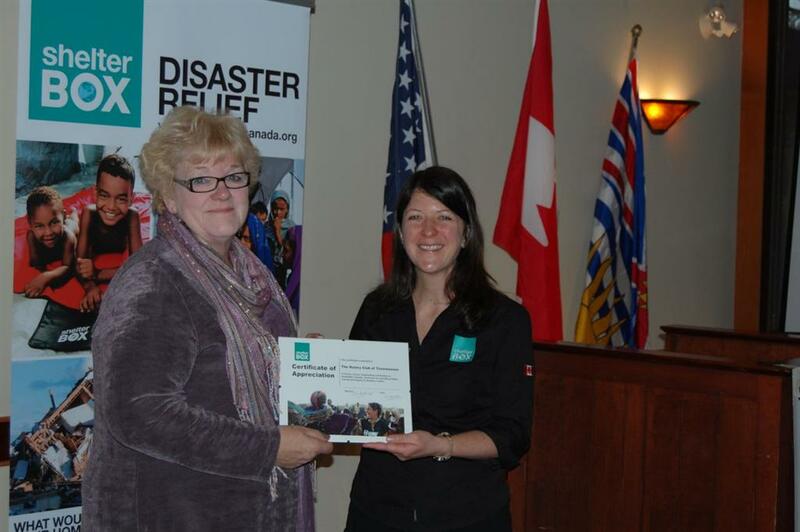 ShelterBox Canada Executive Director Lisa Salapatek presented President Leslie with the Certificate of Appreciation at our weekly meeting. The Earth Month Challenge first place winner, and the receiver of the coveted Green Jacket award, for 2012, is Dan McGrath. Dan helps to keep our city environmentally healthy by leaving his car at home, and walking or taking transit most places he needs to go. Other winners include Sherrie Jamieson, who did her errands by cycling and walking, Graeme Peck and Alex Tappert, who cycled to their volunteer jobs for the Delta tri, and Tom Smith, who walked to do deliveries instead of taking his car. Thanks to all who participated and congratulations to Dan, who has been renamed Dan McGreen, in honour of his win. On Sunday May 20th, Delta will host the Rick Hansen 25th Anniversary Relay as it travels through the community of Ladner. More information can be found on Delta’s website by clicking the image on the left. the "Little House" in 12th Ave. Tsawwassen. 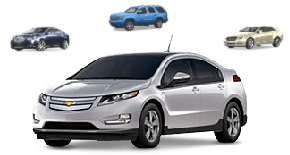 Sunday, June 3, 2012 gave an opportunity to test drive one of 12 new GM vehicles in the heart of Tsawwassen and to raise money for the Rotary Club of Tsawwassen's community projects and two lucky souls won a prize as well. Thank you to everyone who participated and in particular to the management and staff of Dueck GM Richmond who made it all possible. The 2012 edition of the Masters Golf Pool is now complete and we want to thank all of you who participated and contributed to our fund raising efforts. The money we raised will benefit Rotary's youth and many local community projects. For a list of this year's winners and a complete list of the totals for each entrant, please click on Masters Golf Pool to be taken to the results site. Thank you to all who attended the recent Rotary Wine Gala and to those who contributed in the many ways that made it a great success. The money raised will be used to help further the goals of the Rotary Club of Tsawwassen in helping our community and the people who live there. Rick and Carlene Lewall have been making their way up the African continent and providing a commentary (blog) with pictures to accompany their journey. Amongst other places, they have visited Zimbabwe and clinics receiving assistance from the Rotary Path To Health project (see the story below). They have seen some of the spectacular sights, the unique wildlife and experienced the culture of the various countries. 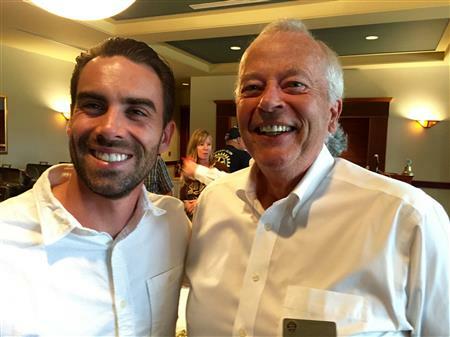 On behalf of the Rotary Club of Tsawwassen, congratulations to South Shore Cycles on receiving the Delta Rotary Business Ethics Award at the Delta Chamber of Commerce's Hats Off to Excellence Dinner on November 18th. 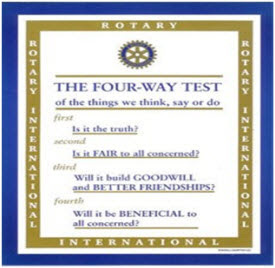 The Rotary Clubs of Ladner, Tsawwassen and North Delta wish to recognize persons and businesses in our community who not only exhibit exemplary business practice, but personify the Rotary International Four-way test in how they conduct their business. All nominees had to exhibit ethical standards of honesty, integrity and consistency in dealing with employees, contractors and customers, while positively enhancing the economic well-being of the firm's stakeholders. The Rotary Club of Tsawwassen is pleased to participate in an international project to help those in need. Rotary Path to Health supports the delivery of primary health care to thousands of rural poor in Zimbabwe through a collaboration of Rotary clubs in Canada and Zimbabwe, and the Zimbabwe Ministry of Health and Child Welfare. 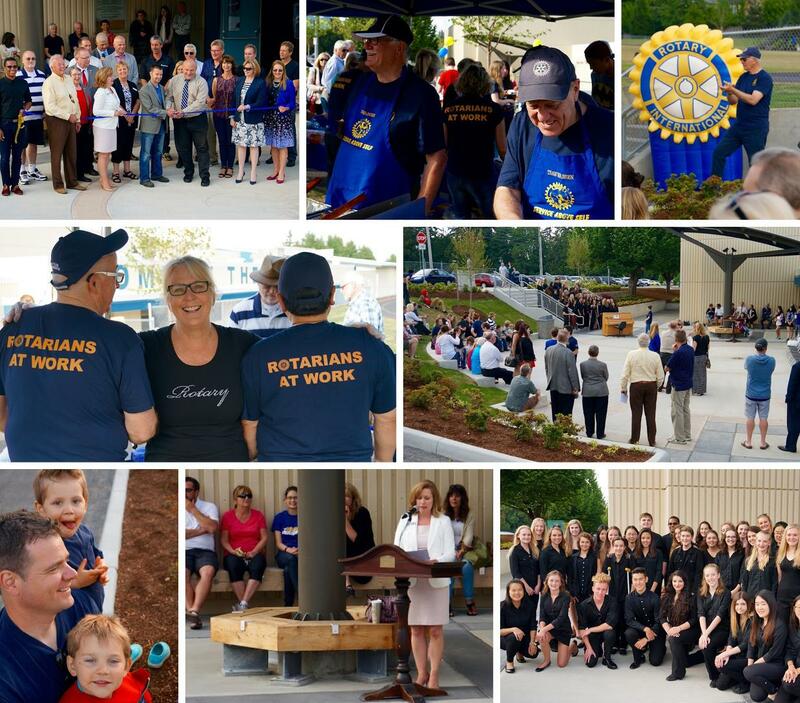 The Rotary Club of Tsawwassen completed its goal of opening a fabulous addition to Diefenbaker Park in Tsawwassen in the summer of 2011. The Rotary WaterWorks Project was a collaboration between the Rotary Club of Tsawwassen and the Corporation of Delta and comprises a Children’s Aquatic Splash pad as the key element in a unique Water Park consisting of a winding creek in a natural park setting. Those are the sounds that Kids will be making at the new Rotary “Water Works” park at Diefenbaker Park. If you have driven by the South East corner of the park you will see that construction has started on this inter active park that is due to open in mid July of this year. Johanna Johnson, the president of Tsawwassen Interact Club had the idea of kids here helping kids far away when she heard of Jill Moore's medical mission to China. Ducks scattered Saturday morning as local business owners, managers and professionals launched a boat in the pond at Centennial Beach Park. It was a Rotary work party cleaning the pond behind the concession building of trash, brush and weeds. Hundreds witness Returning Sockeye sculpture unveiling at Rotary Square dedication. The Rotary Club of Tsawwassen is proud to announce our new community project, The Heart of Tsawwassen Amphitheater at South Delta Secondary School. President John Anderson of the Rotary Club of Tsawwassen presented a cheque last week for $500 to chair Paulette Tattersall of ElderCollege. The money will be used towards the establishment of a scholarship fund. The funds will be available to local residents that may not be able to otherwise participate in a learning experience at ElderCollege, which caters to those age 50 and older. For further information on ElderCollege, contact eldercollegedelta@dccnet.com. 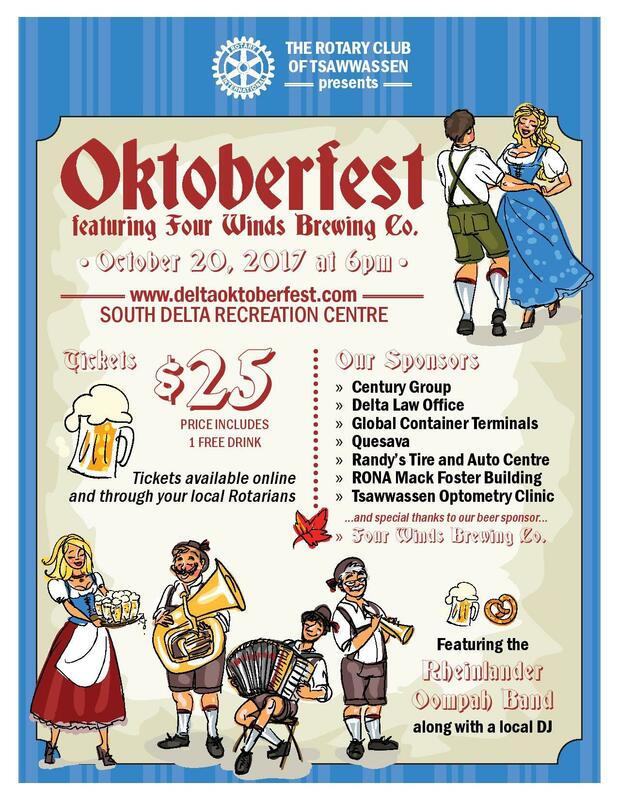 The Rotary Club of Tsawwassen is presenting its first Oktoberfest on Saturday, Sept. 29 at the South Delta Recreation Centre at 7 p.m. This traditional festival will give both the club and entire community a fall event that will celebrate the season in a Bavarian-style atmosphere. Oktoberfest events take place around the world and usually run over an extended number of days. This first year Delta Oktoberfest will include just the evenings event but Rotarians hope a successful first year will lead to a much larger multi-day or weekend event that other groups can also participate in. A variety of traditional foods will be served throughout the night, plus plenty of beer and other spirits. The popular Oktoberfest band S-Bahn will provide the evening's music and there will be lots of games and contests that will be sure to engage everyone. To ensure everyone's safety, there will be shuttle busses available by donation with many pick-up and drop-off spots within South Delta. The Tsawwassen Inn, located a block away, will also be providing discounted room rates.Check the Oktoberfest website for details on these services. Tickets are $30 and include admission, a free drink and entertainment. They can be purchased online at www. deltaoktoberfest.com or directly from Rotary club members. A limited number of tickets are available so early purchase is recommended. No tickets will be available at the door and patrons must be over 19 years to attend. 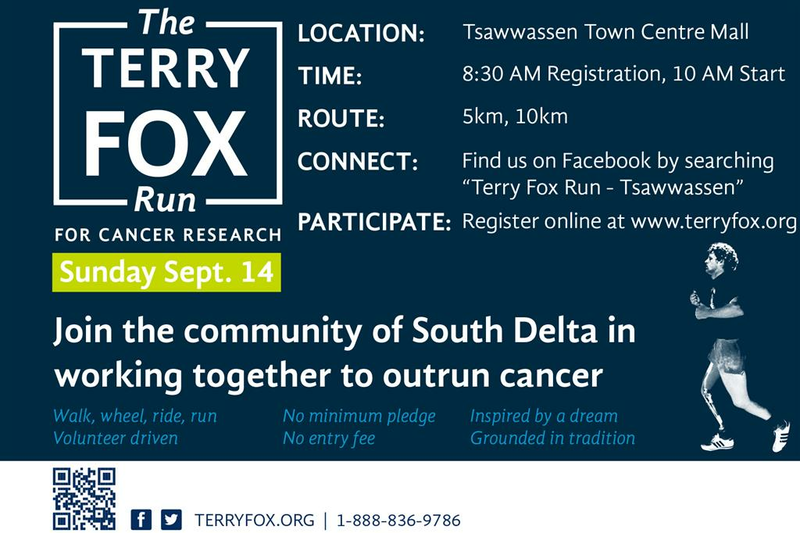 On Sunday September 16th the Rotary Club of Tsawwassen will be hosting the annual Terry Fox Run. Mark the date for this great community walk/run that winds through scenic Tsawwassen. There is a 5km and 10km route beginning and ending at Rotary Square in Tsawwassen Town Center Mall. This event is fun for the whole family. Registration begins onsite at 8:30am or forms can be picked up at Muscle Memory(5670 12th Avenue, Delta BC). The walk/run starts at 10am. April is Earth Month and a time to reflect upon and care for the wonderful planet that is our shared home. This month, your challenge is to help create a healthier world by making some changes to your daily routine and lifestyle. Are you up for the challenge? Choose three activities to make your difference during Earth Month. Three winners will be chosen according to their choices and commitment. Along with recognition at our club's EAC booth at the district convention, prizes will be awarded at the end of the month. Let's show our district how our club is committed to environmental care! 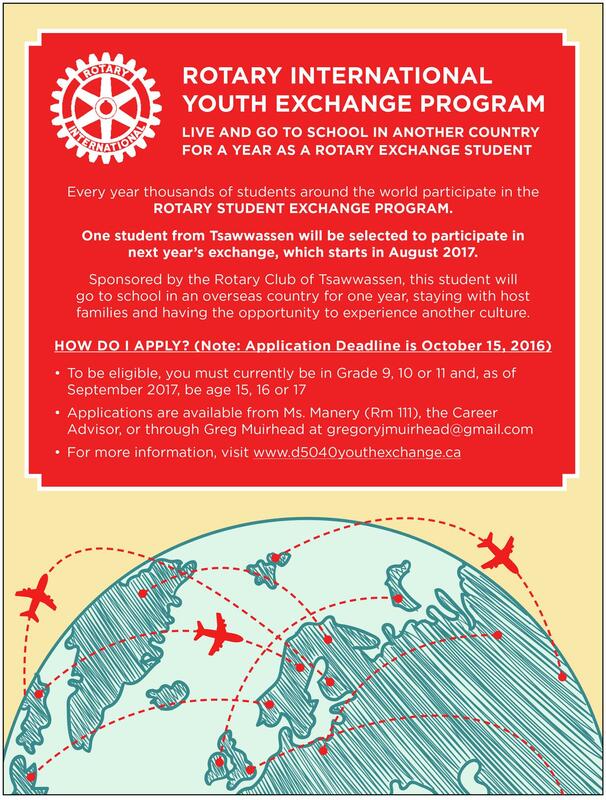 The Rotary Club of Tsawwassen is requesting applications for our annual William Kushnir Scholarship. 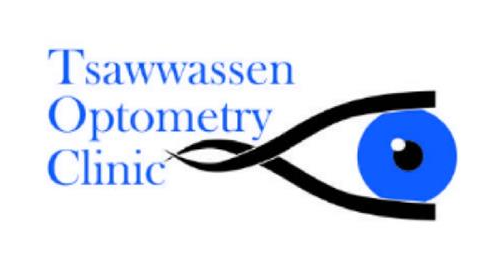 Open to Grade 12 students living in Tsawwassen, more details can be found by clicking on either the Scholarship or the Downloadable Forms links on the left-hand column of our home page. 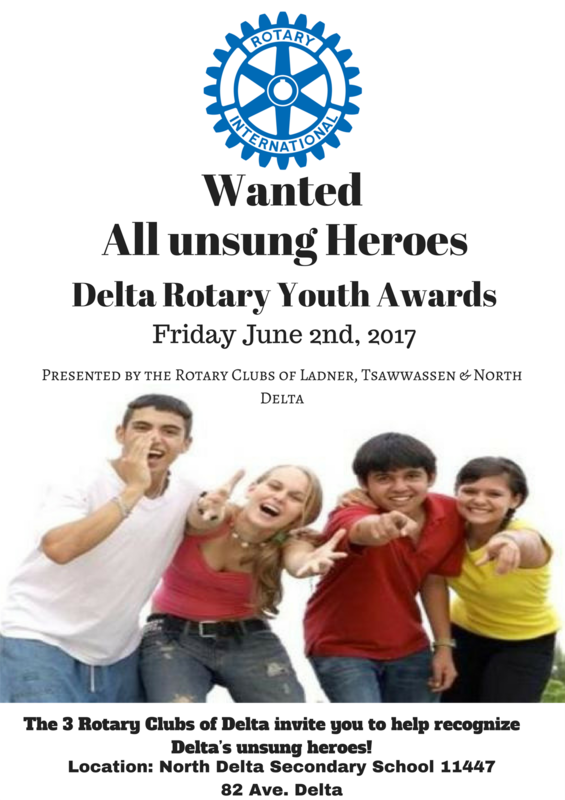 The Rotary Clubs of Delta are also looking for nominations for our annual Delta Rotary Youth Awards Event. Information and an application from can be found from the Downloadable Forms link on the left-hand column of our home page. Delta's Rotary Clubs came together on February 23rd to celebrate International Rotary Day by presenting Mayor Lois Jackson with a plaque honouring the Corporation of Delta's ongoing support of Rotary projects in Delta. 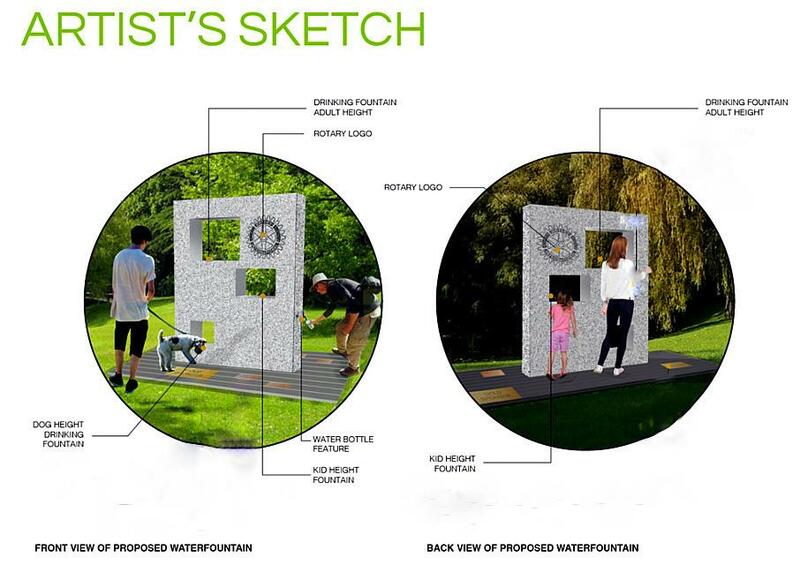 The Rotary Club of Tsawwassen, in partnership with the Corporation of Delta, plans to build a Children's water play area, wading pond, meandering stream with bridge and pathways to enhance the existing facilities at Diefenbaker Park. 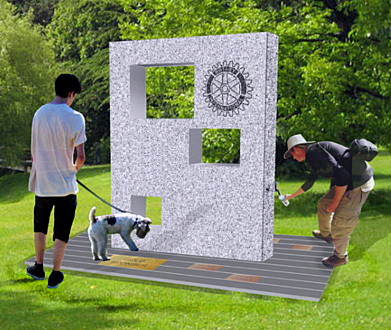 This natural area will be one to be enjoyed by all ages, whilst reflecting on the history of the site and the effects of Rotary's worldwide commitment to clean water for all. We hope to complete this project in the Fall of 2011. 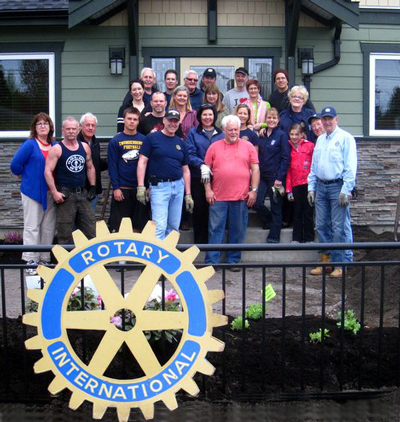 On Wednesday, October 07 Tsawwassen Rotarians and members of the KinVillage (formally known as the Kinsmen Retirement Centre) celebrated the completion of eight raised planter boxes built by a team of dedicated Tsawwassen Rotarians for the newly formed garden club. The planters were built high for better access and the paths between them are poured concrete to facilitate wheel chair access. The celebration included a dedication by John Lusted, the recreation director and Tom Smith the club president. Several people participated in the planting of the first seeds and bulbs. Following the event there was a BBQ for all of the participants. 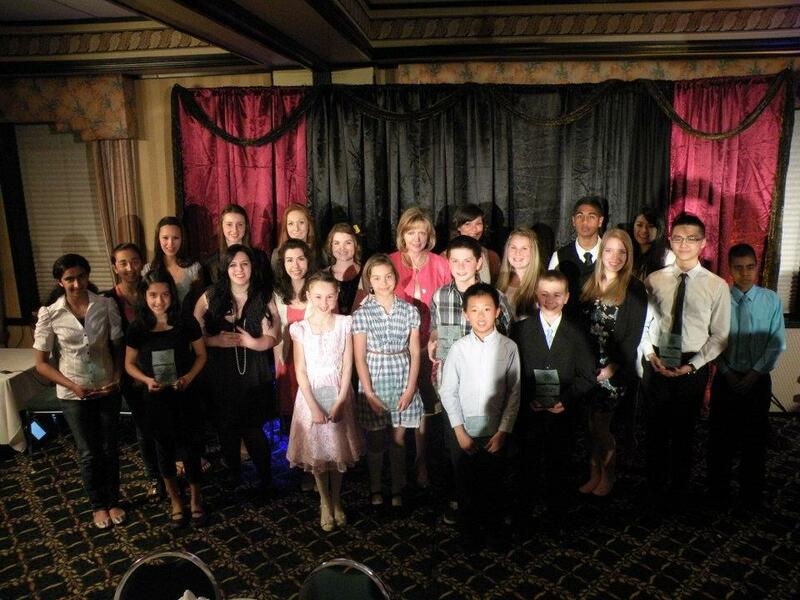 Delta's Rotary clubs honoured local youth with a special awards ceremony last Saturday. 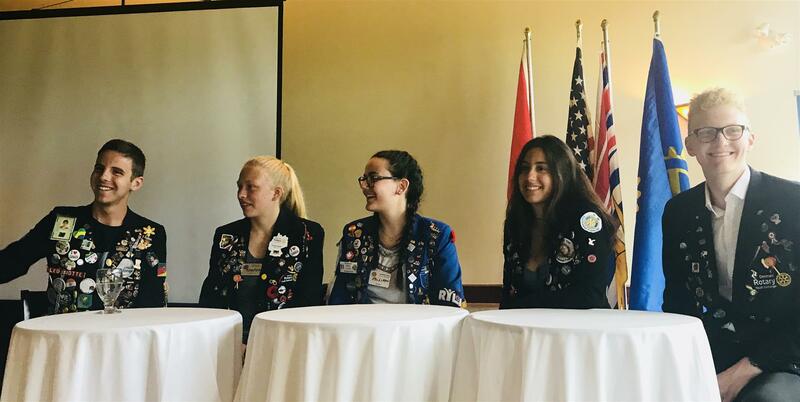 Over 170 were in attendance at the inaugural Rotary Youth Awards at the Delta Town & Country Inn, said Tsawwassen Rotary Club member Leslie Abramson. 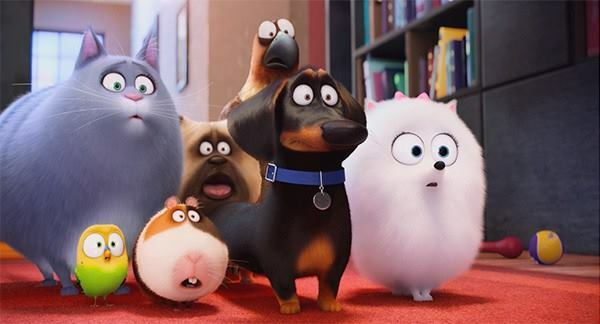 Awards were handed out in six categories. The Rotary Youth awards were a great success. For photos of the event click on http://www.beltgens.com/Events. President Marilyn traveled to Victoria with Rotarians Leslie Abrahamson and John Anderson to meet with Steven L. Point, Lieutenant Governor of British Columbia who ageed to make a video taped address for the Rotary Youth Awards presentations. The taping was professionally recorded by Rotarian Deneka Michaud for her Delta TV show, 'Plugged In'. Rotary Director Rick Lewall, shares the joy with Ken Kozar and Rotary President Marilyn Rafter when Ken picked up his $5,000 first prize win for the Rotary Masters Golf Pool. At the April 2, 2009 Tsawwassen Rotary meeting Nick Loenen will make a brief presentation on the proposed BC Single Transferable Vote and lead a discussion on this fundamental change being considered for the BC voting system. The STV could change the course of history for British Columbia and directly affect every citizen. The pros and cons of such a serious and fundamental change needs careful and informed consideration. The deciding vote will be the May 12, 2009 referendum. Rotarian Laureen McCleery (left), Delta library manager Rita Penco, Rotary Club of Tsawwassen and Point Roberts president Marilyn Rafter and Rotarian Alex Tappert at Tsawwassen Library?s fireplace corner. North Delta Rotarian Lana Hart (left), Delta school trustee Dale Saip, police chief Jim Cessford, Tsawwassen Rotary Club president Marilyn Rafter and Tsawwassen Rotarian Leslie Abramson pose for a photo to promote the new Rotary youth awards. Marilyn Rafter, President of Tsawwassen Rotary shares memories of the Wine Gala fundraiser put on by Chef Roland Smith of Illuminaté Restorante as a very successful and fun fundraiser that supports local and international projects. Deneka Michaud proudly held the World Premiere of her feature length film, Friends we haven't met yet. The fascinating 105 minute documentary details the 2008 adventure of five Canadian women who participated in a Rotary Group Study Exchange visit to Tanzania. It is a story of discovery that extends friendship and fellowship from East Africa to Canada's west coast and shows the universal power of Rotary. From the Rotary International website. Michaud gets ready to shoot footage for her documentary, Friends We Haven't Met Yet. Courtesy of the Tsawwassen-Tanzania Group Study Exchange team. 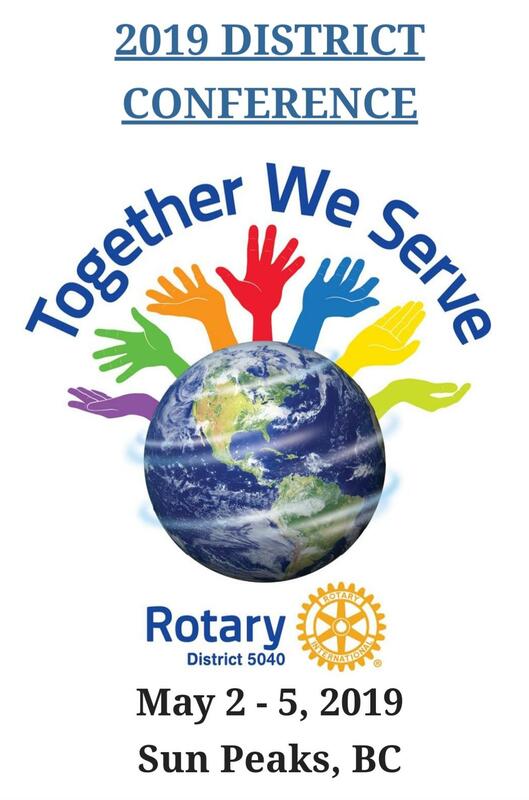 Note: This promotional tool for recruiting Rotarians and GSE team members is available for $20 with proceeds going to the Rotary projects; contact Deneka by email or call 778-840-5122. Jill continues spreading goodwill and friendship! Jill Moore sends photos and an update from her Alliance for Smiles Mission to Santiago, Philippines. The 1st Web Album has general interest photos. Click here and select "Slideshow". The second Web Album has some graphic medical content. Just ignore this link if you do not wish to see these photos. To view click here and select "Slideshow". Bridget Sangster left the comfort of Tsawwassen and took leave from an interesting professional job for a chance to change many lives. The 24-year-old volunteered to work with the Uganda Rural Fund in the small village of Kyetume. Although Sangster doesn't work alone, she is certainly a big part of the reason good things are happening in this area of rural Uganda. Longtime Ladner resident and retired executive Ralph Towsley feels proud and satisfied a network he helped create saves lives each year. Shipping three decommissioned and refurbished Vancouver fire engines to El Salvador is the latest milestone achieved by the Rotary World Help Network Towsley created with other Rotarians. This picture and caption were published in the Jan. 18, 2008 South Delta Leader. The Rotary Club of Tsawwassen has partnered with firefighters from Vancouver Fire & Rescue Services, donating $2,500 to help cover the cost of shipping three fire engines to the fire service of El Salvador, as part of the Engines for El Salvador project. El Salvador is a country of 6.5 million people currently served by 375 firefighters. In comparison, B.C., with a population of just over four million, is served by 3,500 professional firefighters. The hope is this donation will allow the El Salvadoran firefighters to expand their range of services, and increase their ability to provide fire/rescue and medical response. There will be an official handover ceremony at Vancouver City Hall on Jan. 14. Vancouver Mayor Sam Sullivan and Vancouver fire chief Ray Holdgate will present the three fire engines to the El Salvadoran consulate general during this ceremony. Elephants are being used to help clear debris from the roads clogged with the devistation caused by Cyclone Sidr. Rotary responds to the disaster in Bangladesh by immediately dispatching ShelterBoxes and volunteers. Full story reported by BBC. Dan McGrath and John Anderson lead our Club to another successful fund raiser. Almost $27,000 was raised by Ladner and Tsawwassen Rotarians during the 17th Annual Rotary TV Auction on Delta Cable TV 4 held Saturday, November 3rd. The donated 147 items had a retail value over $50,000 so some outstanding values were realized by successful bidders. The 12 most valuable items were segregated into the Diamond Lot and for the first time were listed on-line with Go Bid (www.gobid.ca). By the time the TV Auction opened for telephone bids the on-line bids already exceeded $5,000 to start the day. Brushing up-Tsawwassen dental hygienist Jill Moore applauds success of a young Chinese patient learning to brush her teeth during her recent trip to the northern city of Harbin. Thanks to the generosity of South Delta school children, Moore was able to distribute the 2,500 toot brushes they collected for her overseas visit. Story by Philip Raphael and photo published in the South Delta Leader, Nov. 3, 2007. Or you can copy and paste or key in the URL at the end of this text to the Go Bid website. Explore the Go Bid site for clear and complete instructions on how to open an account and make bids. Simply select our Rotary Auction as your choice; it is an easy, convenient and effective way to bid. First register, then review the items and start bidding. Bids entered prior to opening the live auction will be automatically placed when the auction begins. Dave Willis of The Delta Optimist reports in the Wednesday, October 31, 2007 on the Alliance for Smiles trip to Harbin, China. Through the efforts of Rotarian Jill Moore over 2,000 K to Grade 8 Tsawwassen students will experience an imaginative and high energy anti bullying program. With the assistance of the Interact Club the elementary students will be bussed to SDSS for one of the three October 26 concerts. The report was published in the Oct. 20, 2007 Delta Optimist. Rotarian Peter Dandyk passes a $10,000 cheque to Boys and Girls Club. The South Delta Leader Oct 12 edition has a story on the pending development of the Healing Garden at Delta Hospital. Everyone at DeltaHospital, including Foundation team member Stacey Boyda, is looking forward to enjoying the HealingGarden soon to be created by Tsawwassen and Ladner Rotary Clubs. A warm sun and hot coffee overcame the Saturday morning chill as Rotarians and Earthwise volunteers gathered at Boundary Bay Earthwise Garden to assemble a wheelchair accessible greenhouse as well as an entrance arbour and fence. However they discovered the contributed material was a puzzle of parts and sizes which prevented completing the project in the available time. Great progress was made and shortly we expect work will resume. To enjoy the pictures click see photos When the window opens select "Slideshow". YOUTH INTER-ACTION - The South Delta Leader published this photo and following caption: Teacher and Rotarian James Brown (left) joined the new Interact Club of Tsawwassen, displaying the group's charter just presented by Rotary district governor Dean Rohr on the right. Left to right next to Brown are Michelle Danard, Samantha Davie, Hannah Morris (behind) and Arzina Nurani. 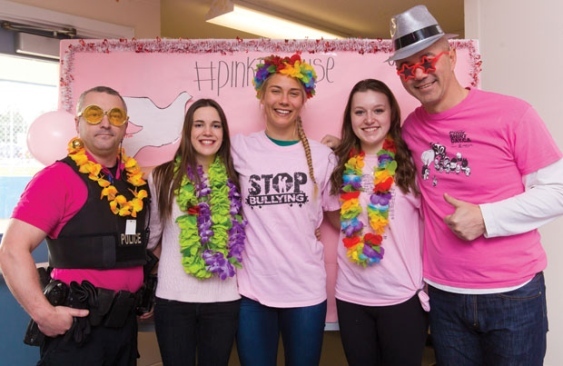 Last year South Delta students Johanna Johnson and Courtney McQuarrie committed to have fun while improving the community and world. With the encouragement and support of Brown and fellow Rotarians Gail McEwan and Jill Moore, they established a provisional club for high school youth interested in positive international action. For the Terry Fox Run our Rotarians staffed two water stations. Here Brian Coe, Gerry Kilcup, Jim Northey and Eleanor McWhannel avoid the rain as they wait for runners. The donation of the final $10,000 to the Boys And Girls Club new bus fund is reported in the Deltal Optimist. A traditional Chinese medicne specialist preparing for a business trip to Harbin, China learned of Jill Moore's Alliance For Smiles trip through the media. When the Vancouver Centennial Rotarian decided to contact her while in China it radically changed his trip. "What can you expect when you put men, mud and a boat together?" reports the Delta Optimist in coverage of our Rotary work party at Centennial Beach Park. In the Winskill parking lot Rotarian Peter Dandyk passes $10,000 to Executive Director Sandra Gebhardt to top off the new bus fund for the Boys And Girls Club. At the Aug. 30/07 meeting District Governor Dean Rohrs presented her vision and challenged us to build Rotary. To see photos of the opening of Rotary Square, the Sunshine Parade, the Pancake Breakfast, the Presidents Ball, Owl, Humane Society, and Boys and Girls Club, plus many others click HERE. Our exchange student Pote gets to rub noses with the mascot from Operation Red Nose. Another "strange tale" to share with the folks back home? Better take this picture with you or they'll never believe you. 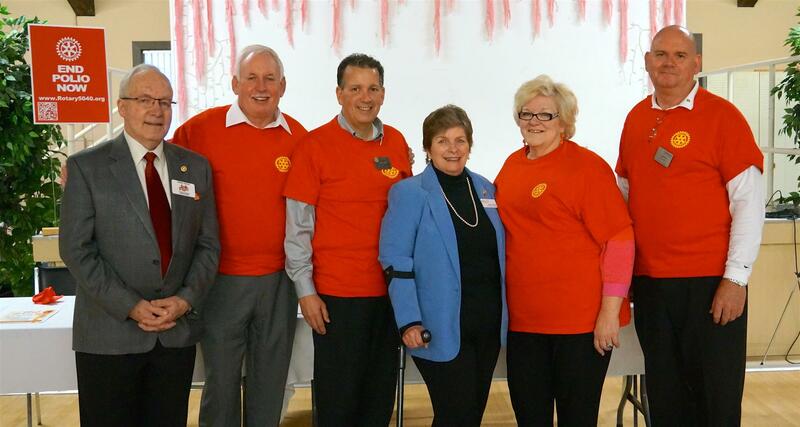 The Rotary Club of Tsawwassen was thanked for its participation in the annual Operation Red Nose campaign. Although we lost members from last year's roster due to moves and resignations we have added some excellent new members this year. We have been fortunate to induct our District Governor, Kevin Conway as well as Murray Morrison, John Anderson, Diane Forward and recently, James Brown, Taronne Atley, Mike Hawkes and Dan McGrath as new members. We still have a target of adding another three or four members so still need your help in finding them. We also need mentors for the new members so please step forward and help. You can obtain proposal and application forms from the front desk at our meetings. 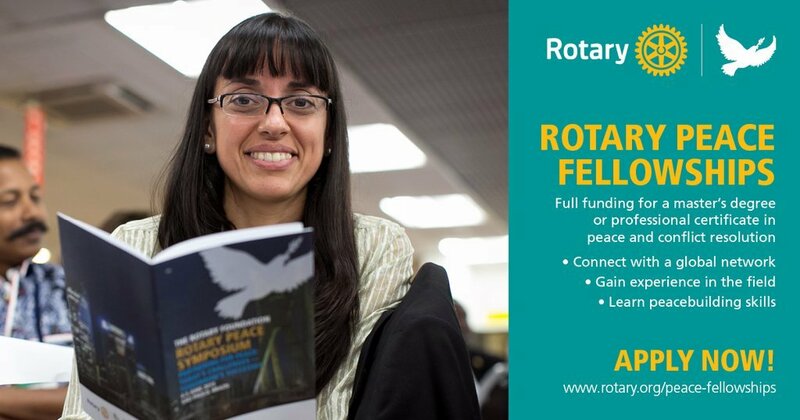 We also have brochures from both Rotary International and from our club that may be useful in answering questions. Please do not hesitate to contact any member of the Membership Committee if you need any assistance in the process or in approaching prospective members. Consider bringing a prospective member to a breakfast meeting or to a social event. Your committee thanks you for your assistance. Enjoy the photos. Click on www.beltgens.com/gala Prints of the photos are available: $6.00 for a 5x7 print and $8.00 for an 8x10 print (not all photos will work at 8x10). Francisco will manage the process and money over the cost of the prints goes to him to cover fun and entertainment expenses. Free downloads can be done from the website by right clicking the mouse on the photo.